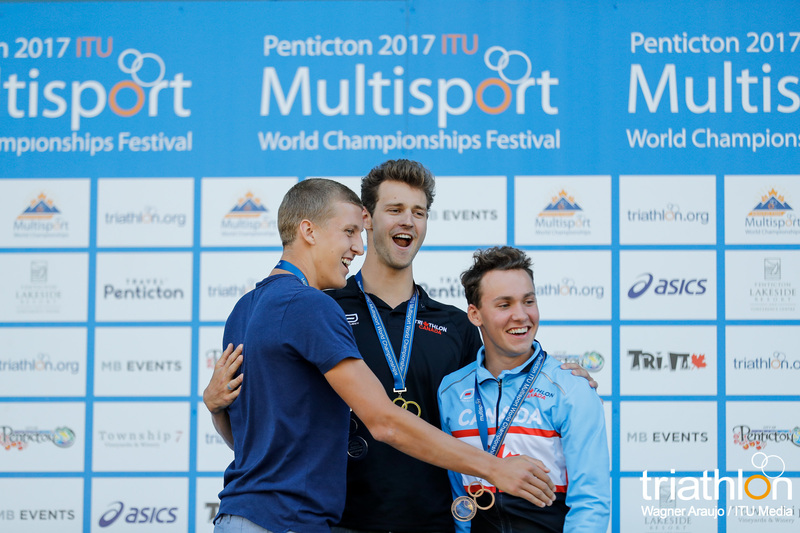 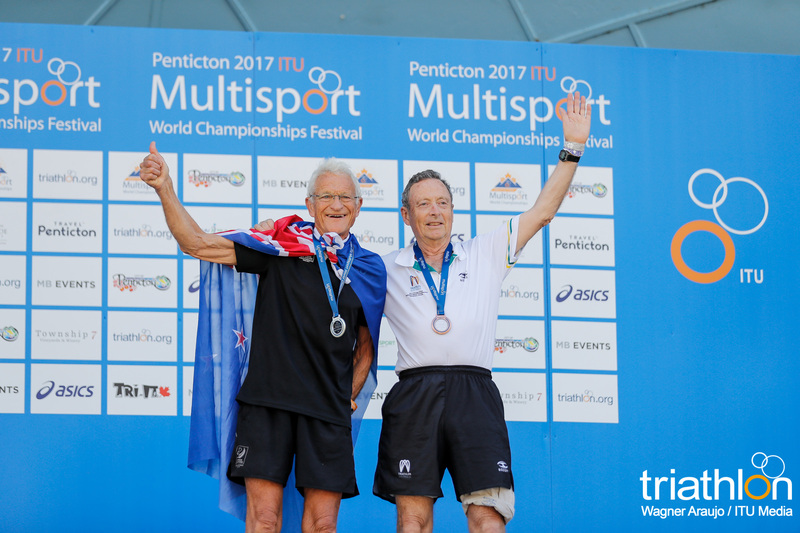 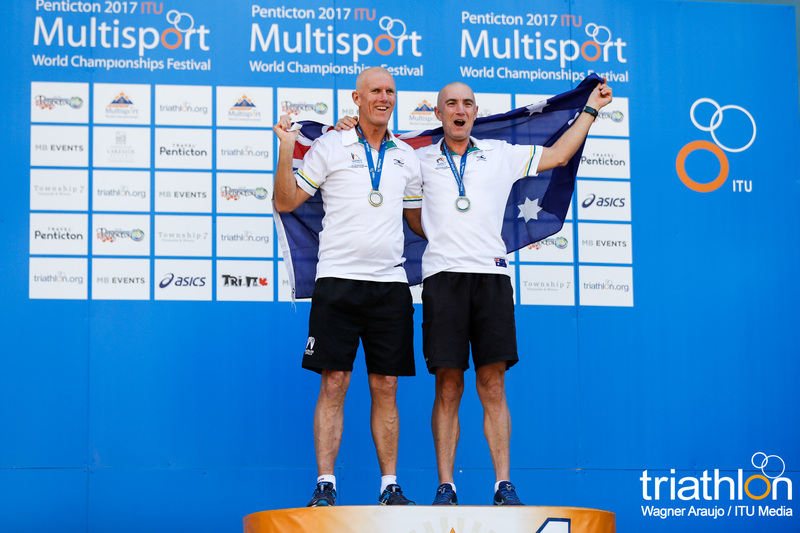 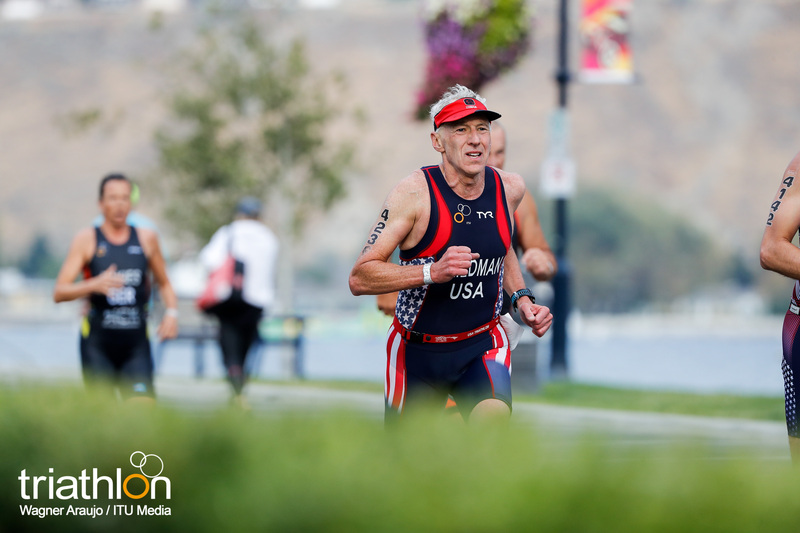 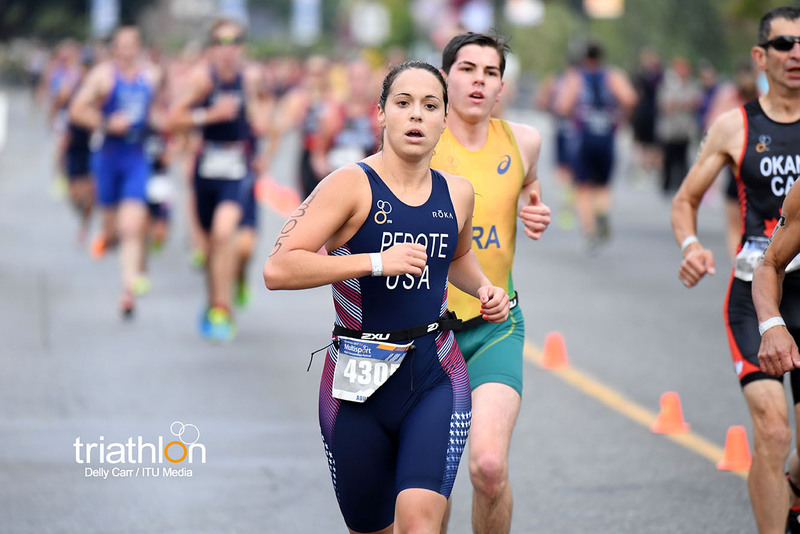 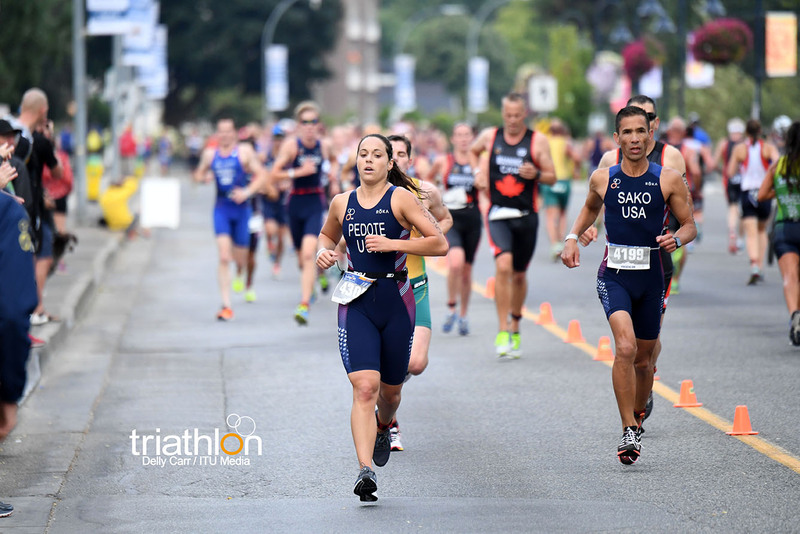 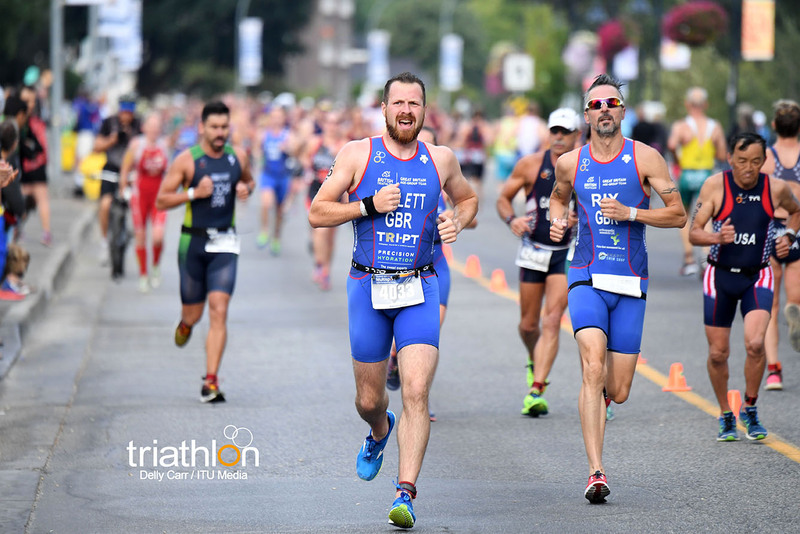 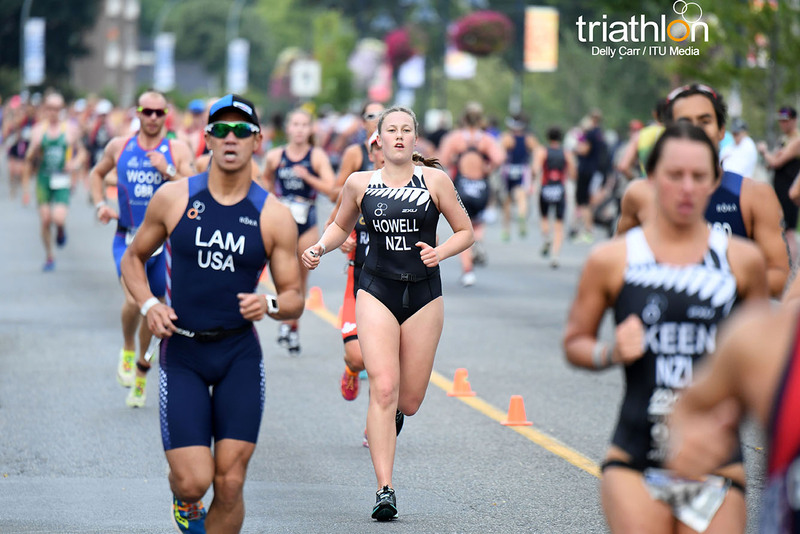 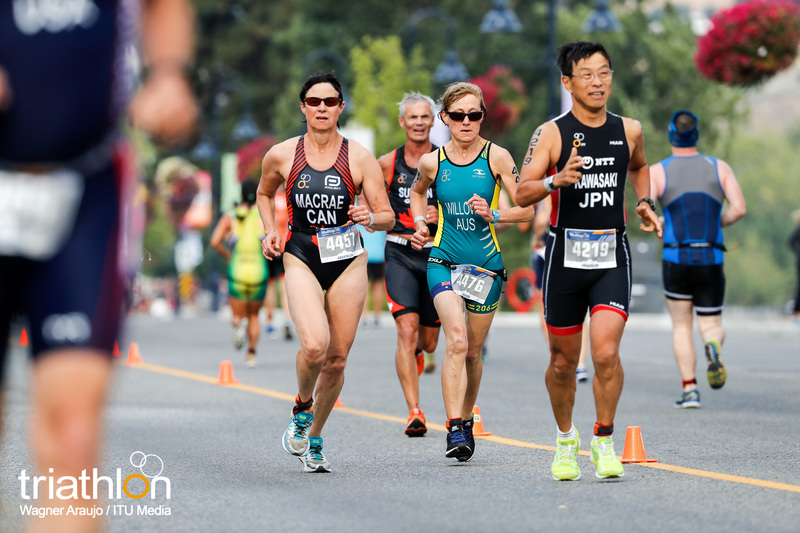 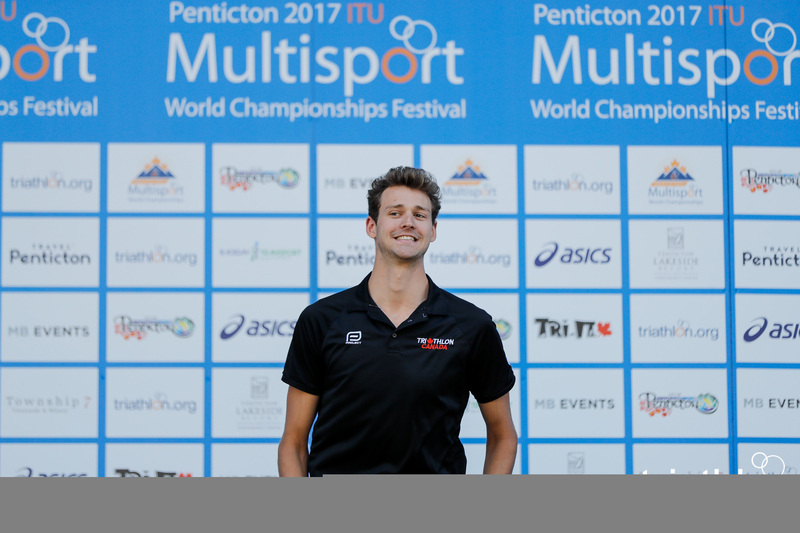 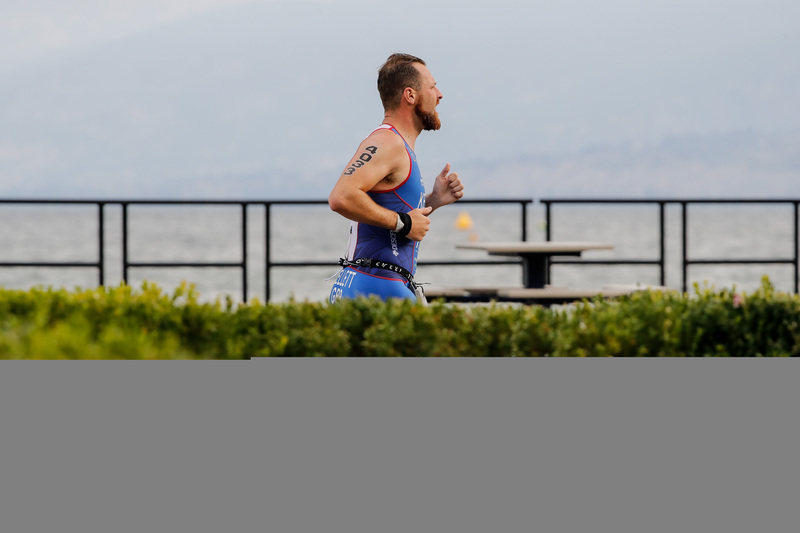 The third elite world championship event is set to take place on Friday, August 25 where two new world champions will be named at the 2017 Penticton ITU Aquathlon World Championships. 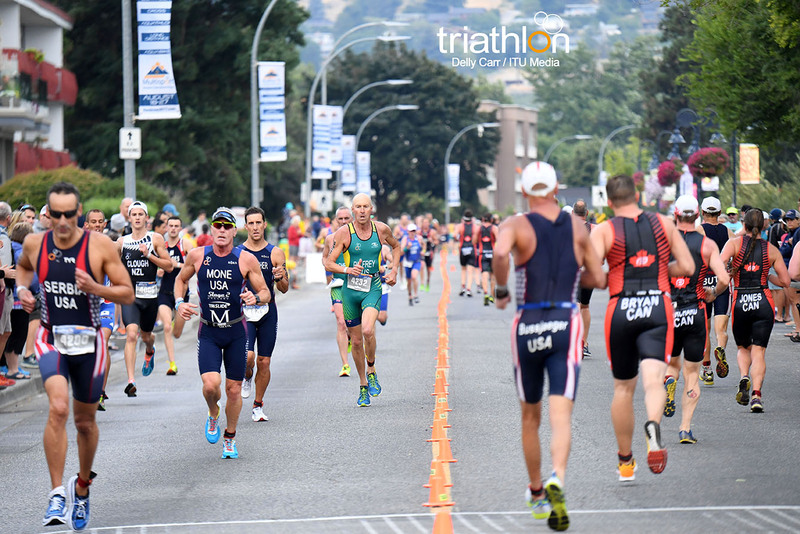 With a unique format this year, the elites, U23’s and juniors will all line the start list together to race at the same time and on the same course, making for one jammed-packed action filled race. 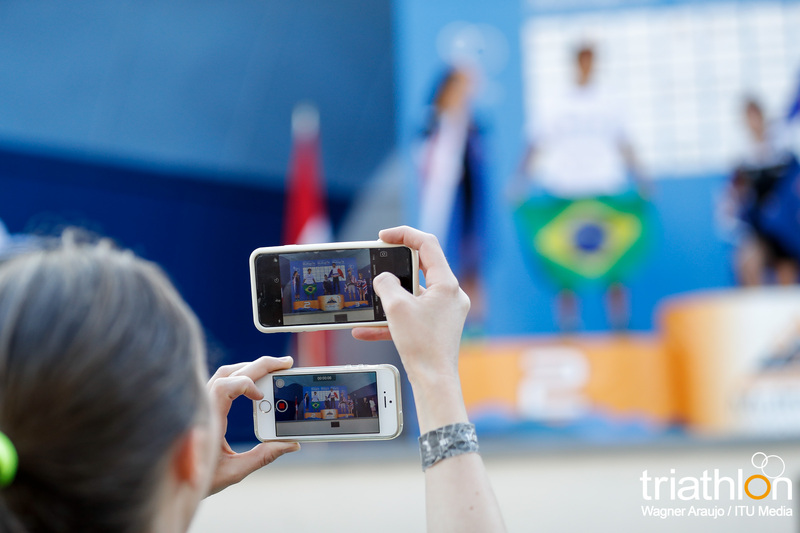 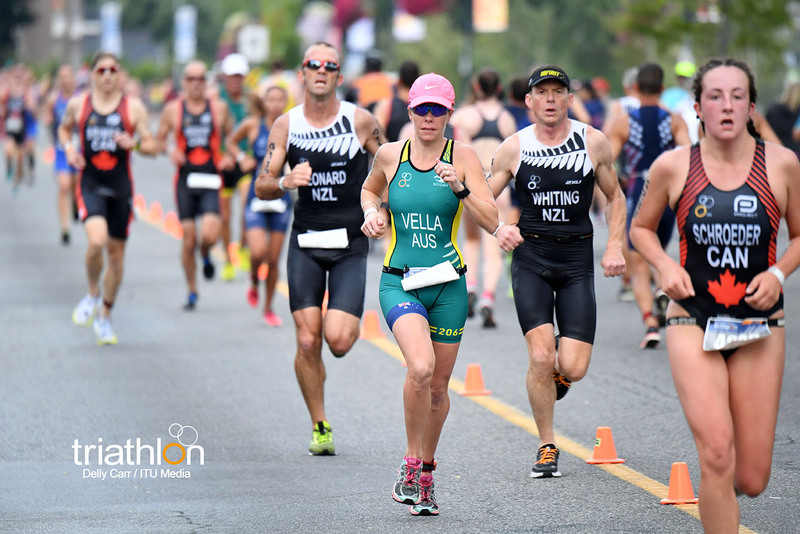 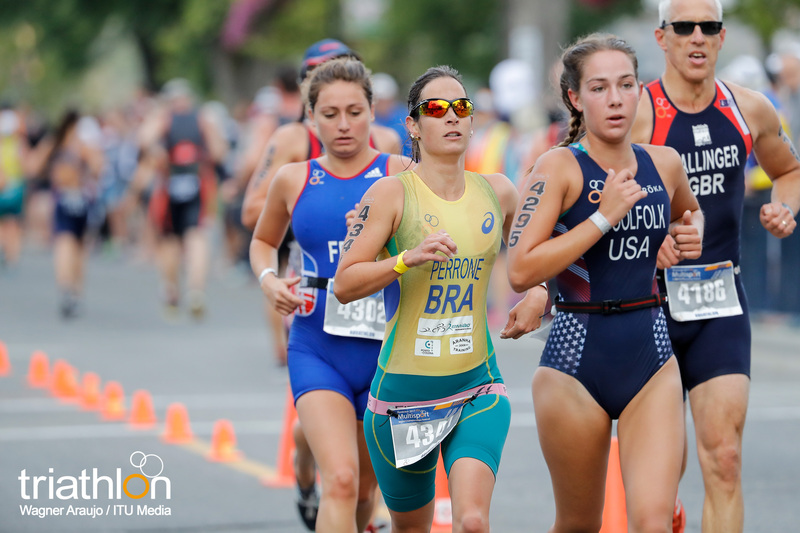 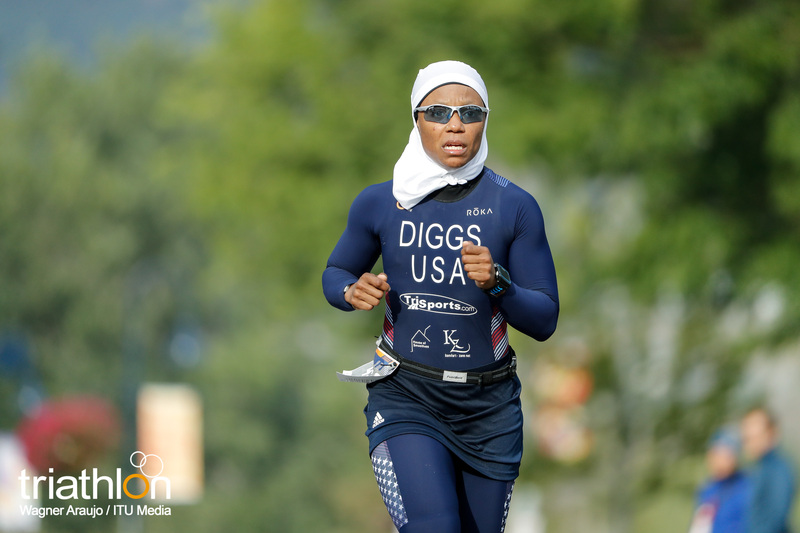 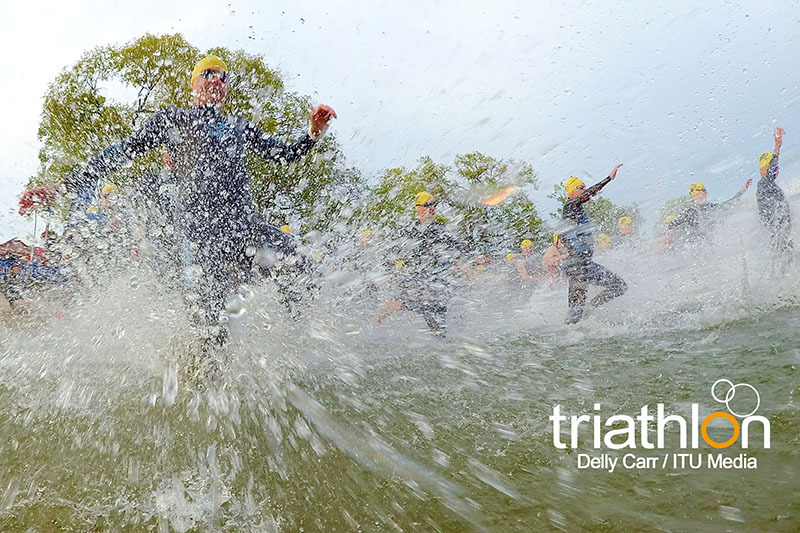 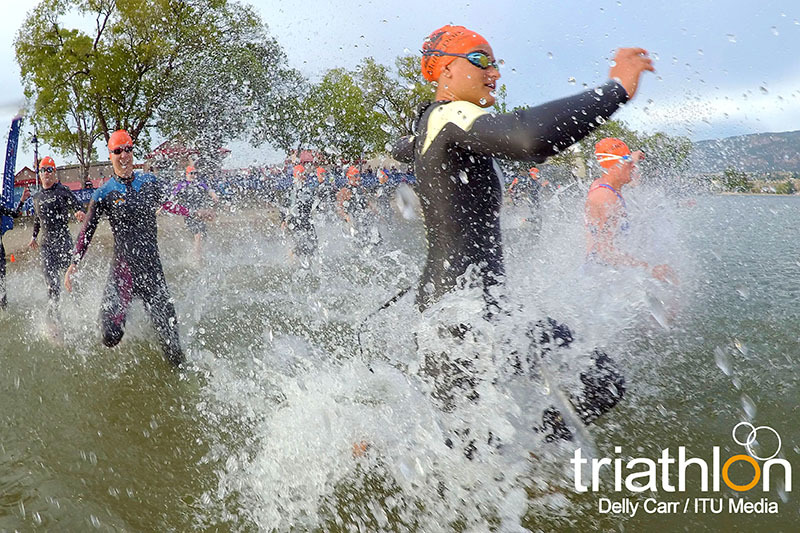 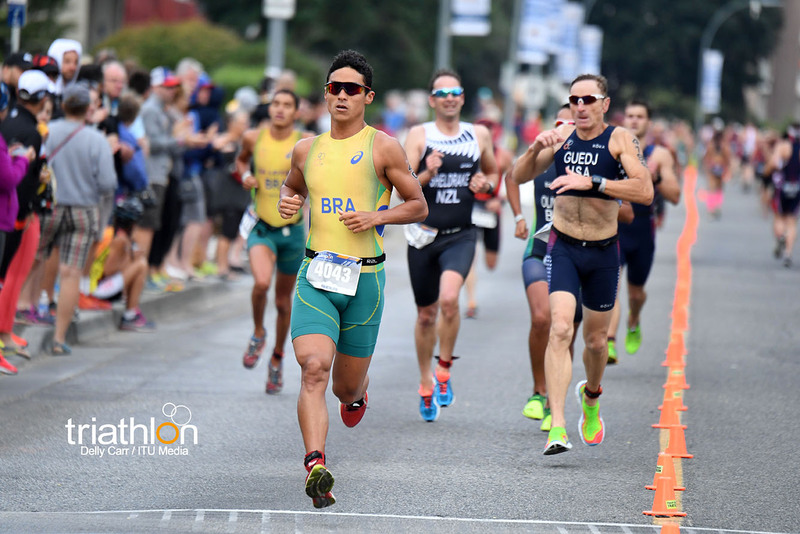 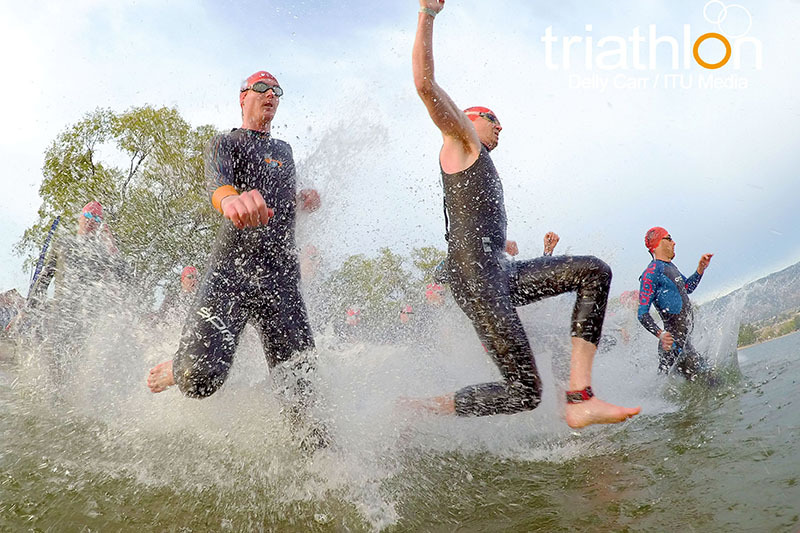 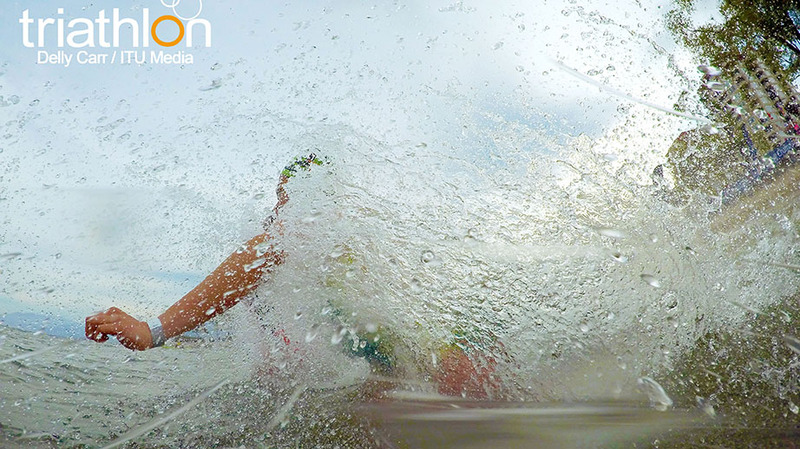 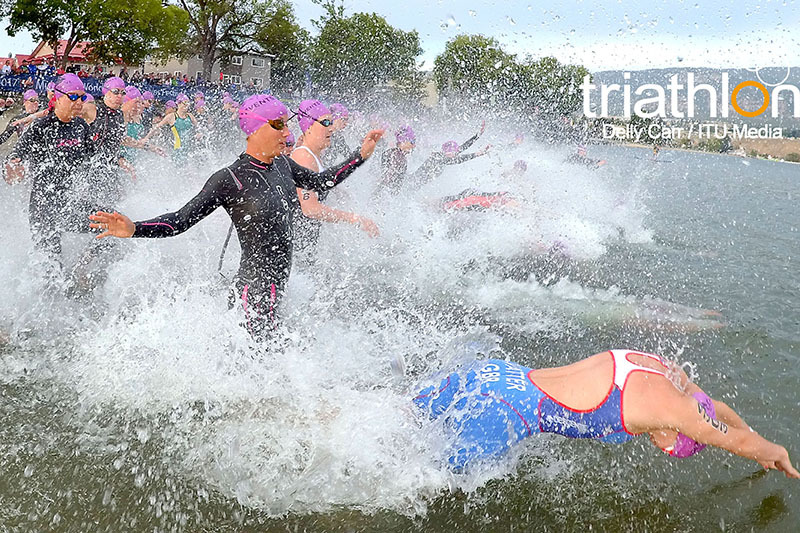 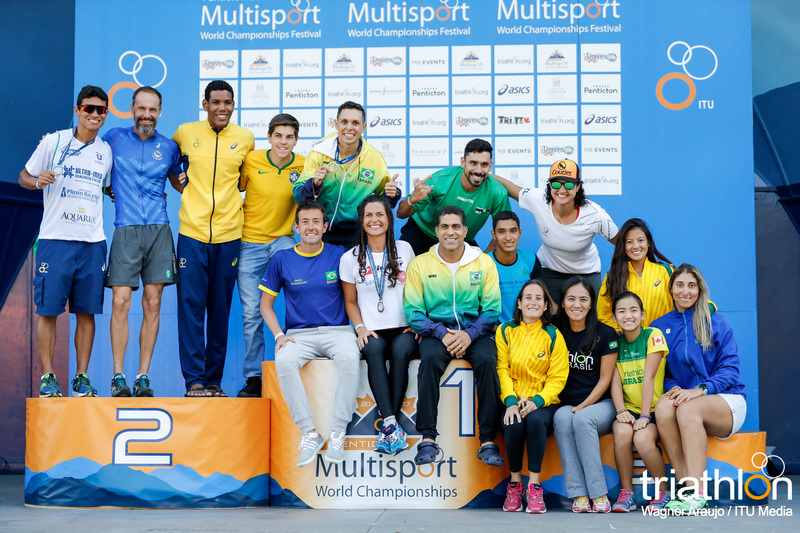 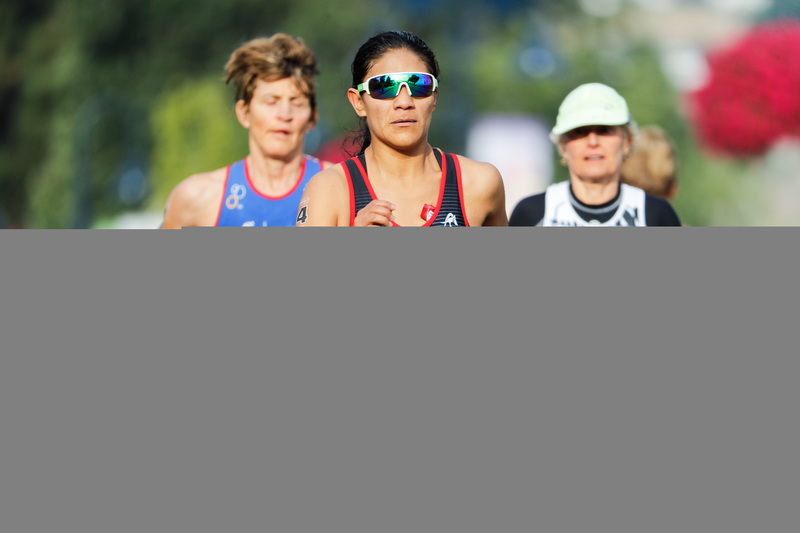 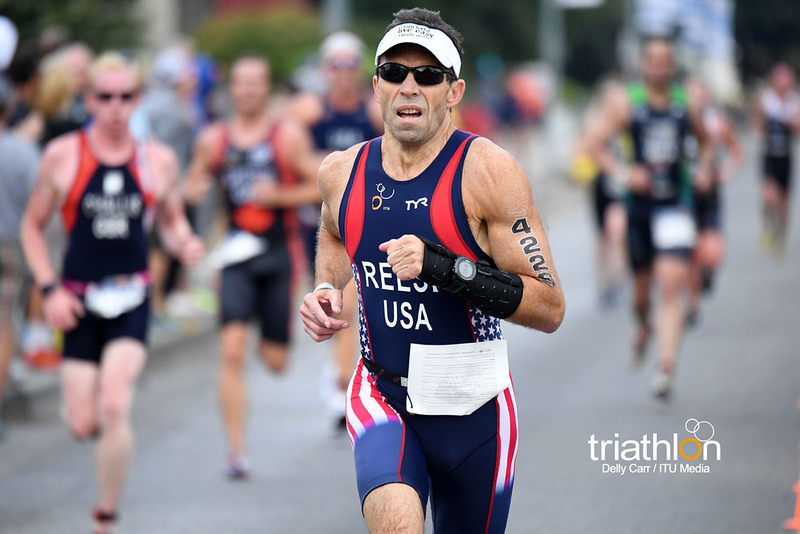 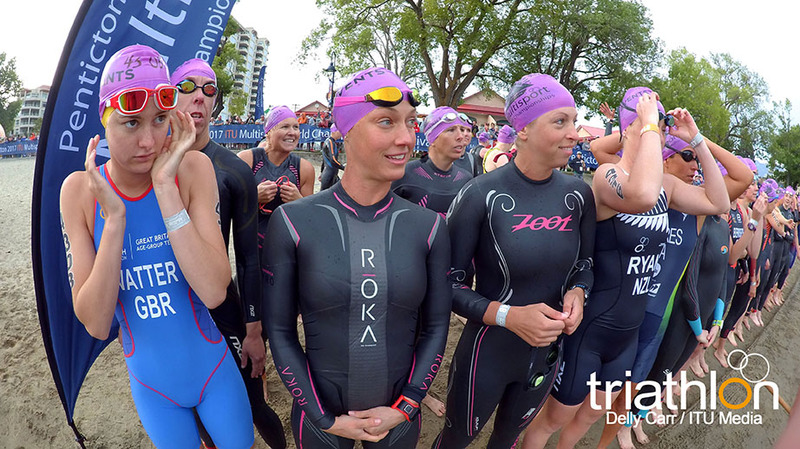 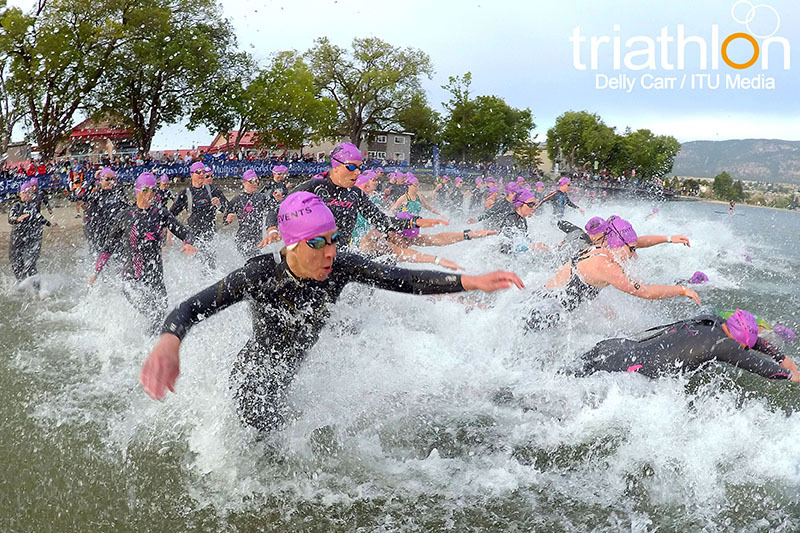 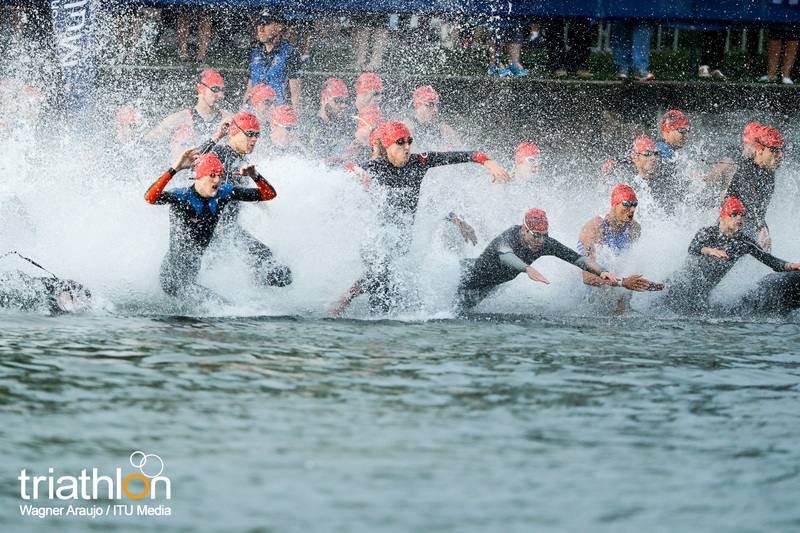 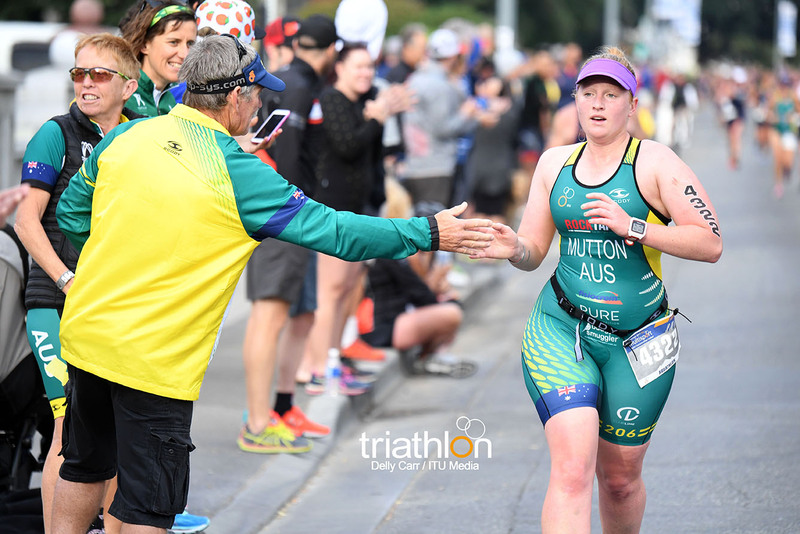 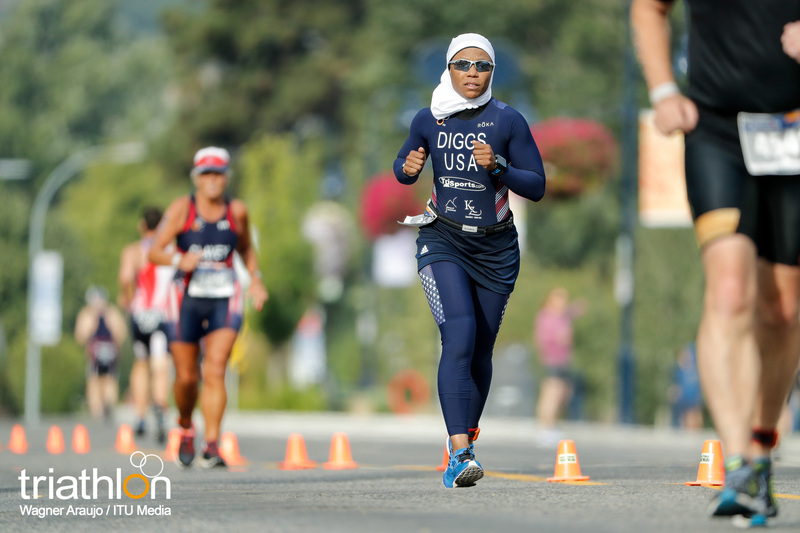 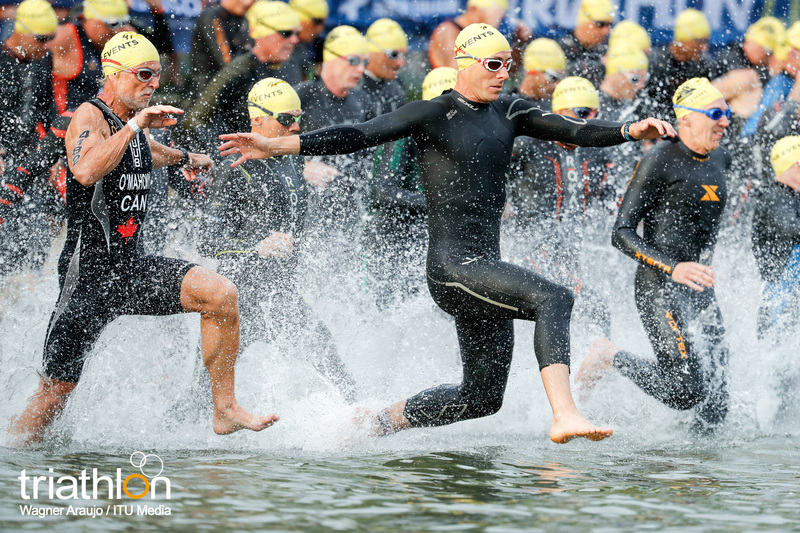 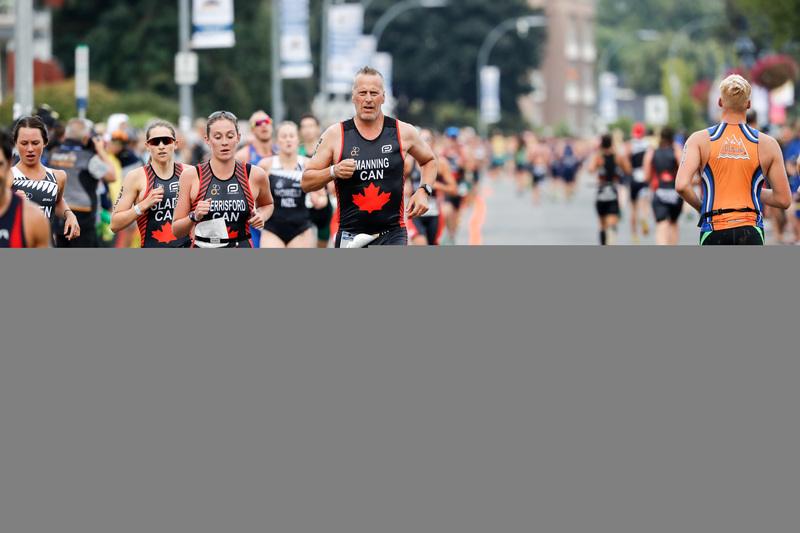 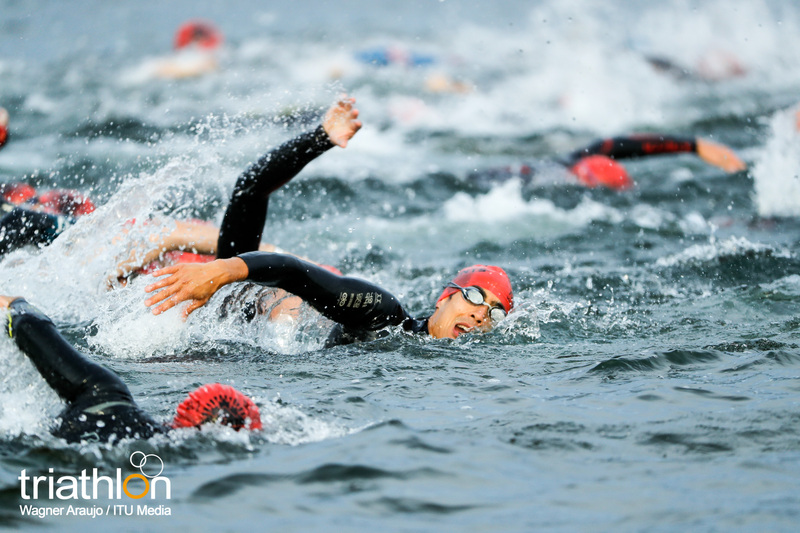 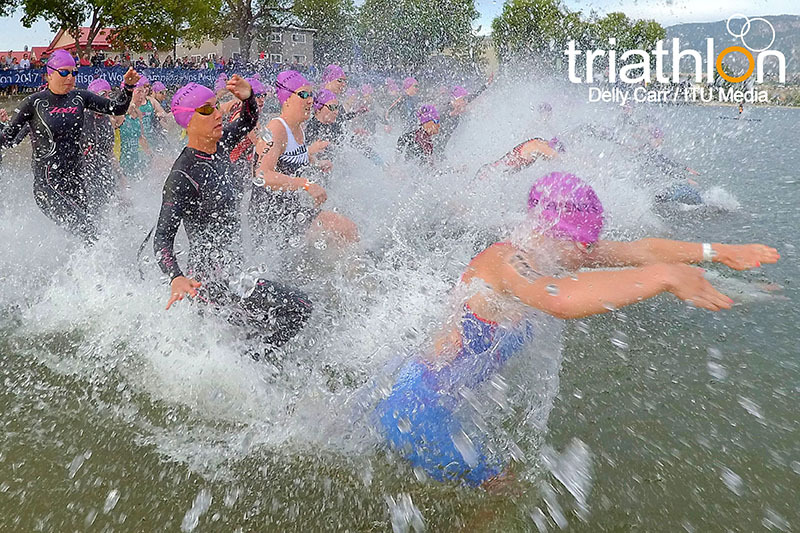 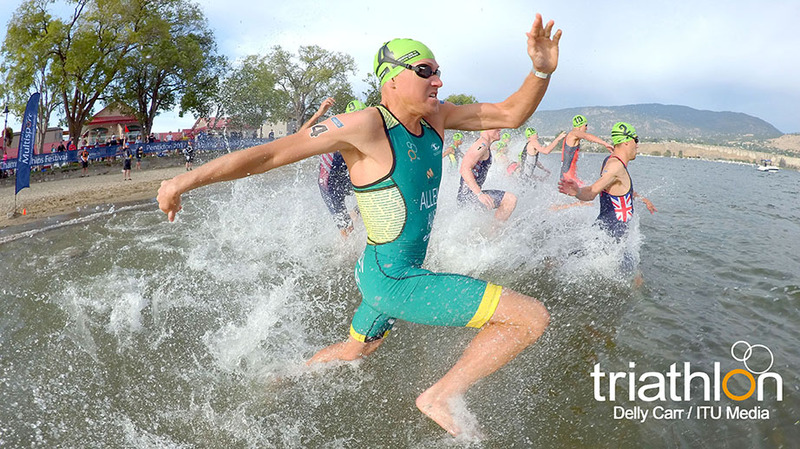 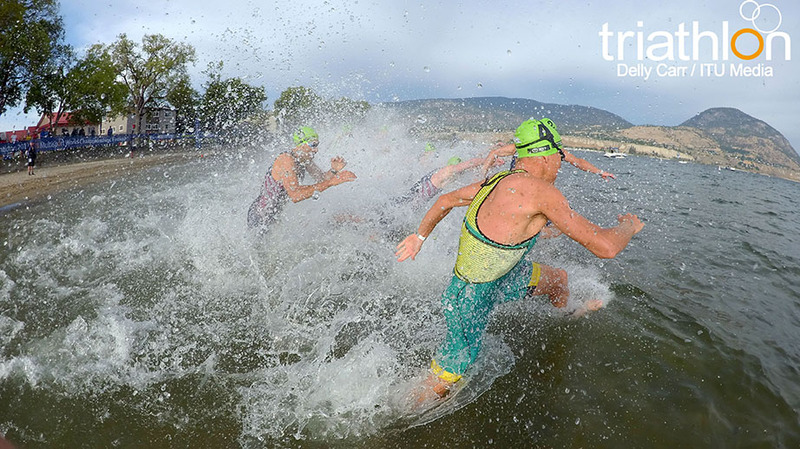 With the men starting at 8:15am local time and the women following just after at 8:25am, the aquathlon offers up a short and speedy race that sees the athletes competing in a one-kilometre swim, followed by a five-kilometre run course. 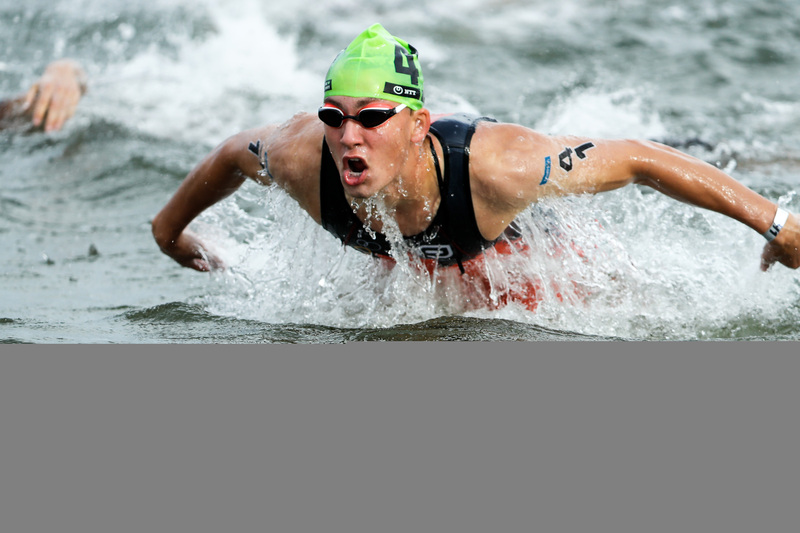 The men’s elite field will see eleven men race in the effort of securing a world crown. 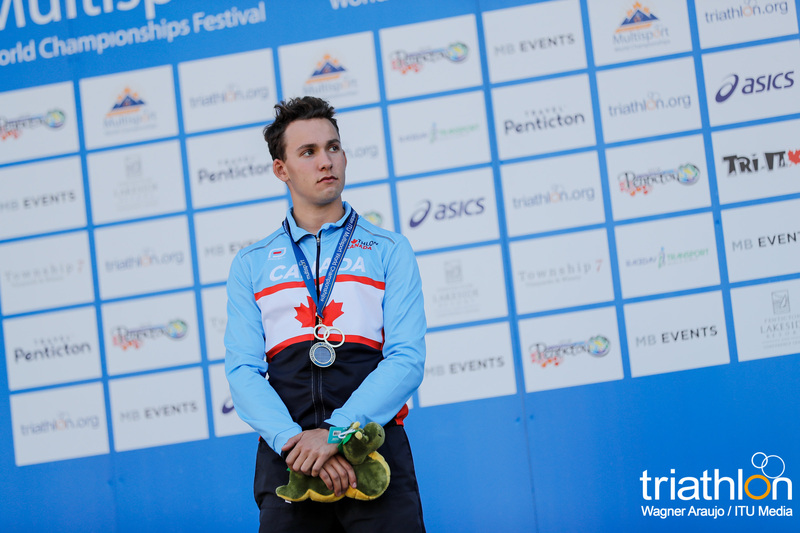 The frontrunner is a man who already has a Penticton World Championship medal. 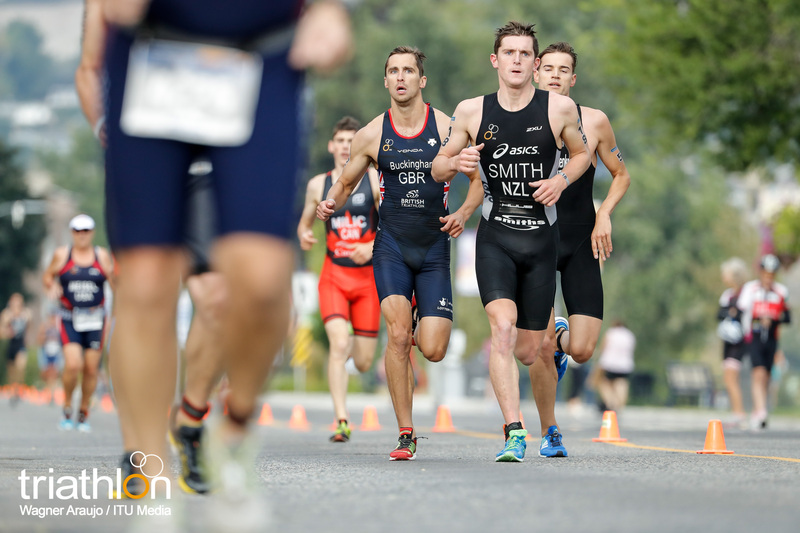 Great Britain’s Mark Buckingham earned the bronze medal in the duathlon earlier in the week, but it will be the first time that the Brit has raced in an ITU aquathlon. 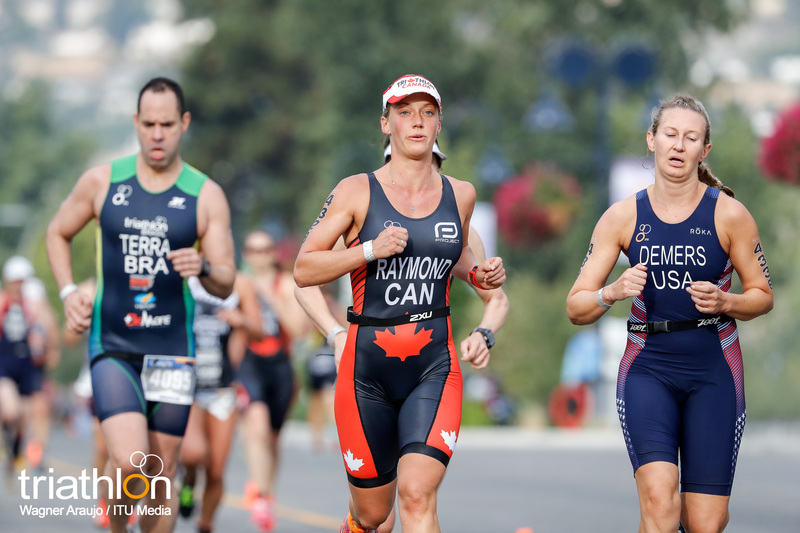 Canada has some strong contenders that could bring the title home. 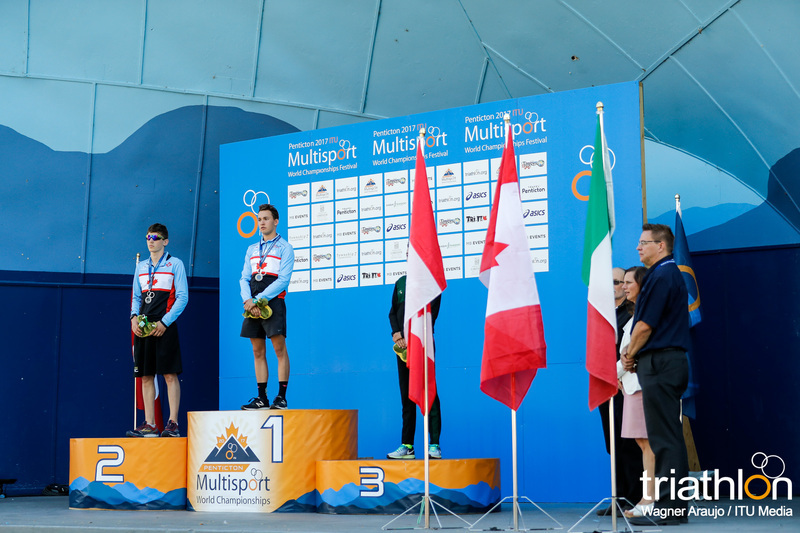 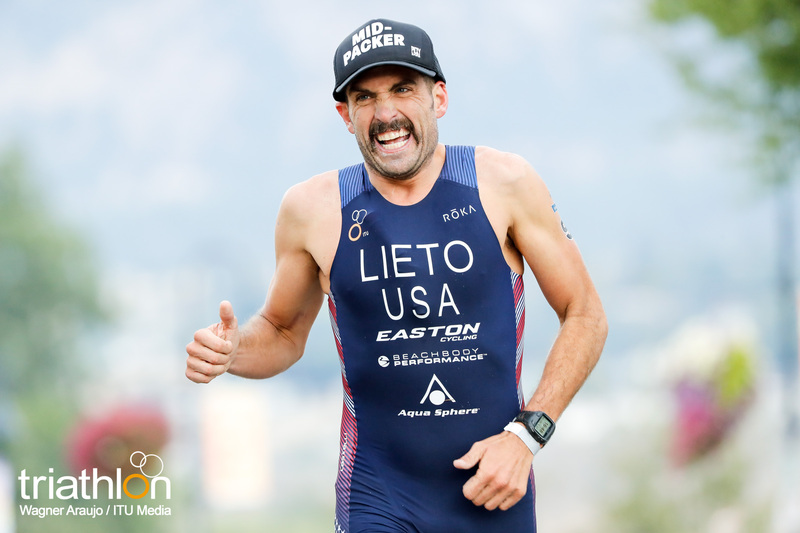 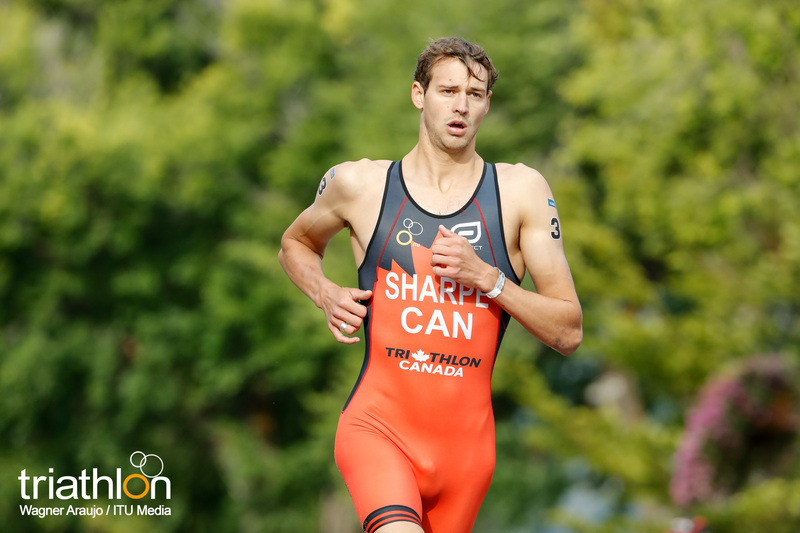 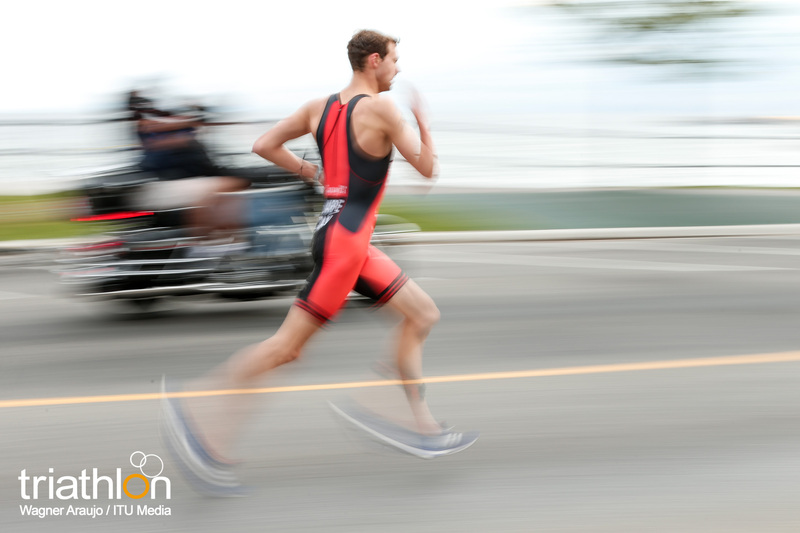 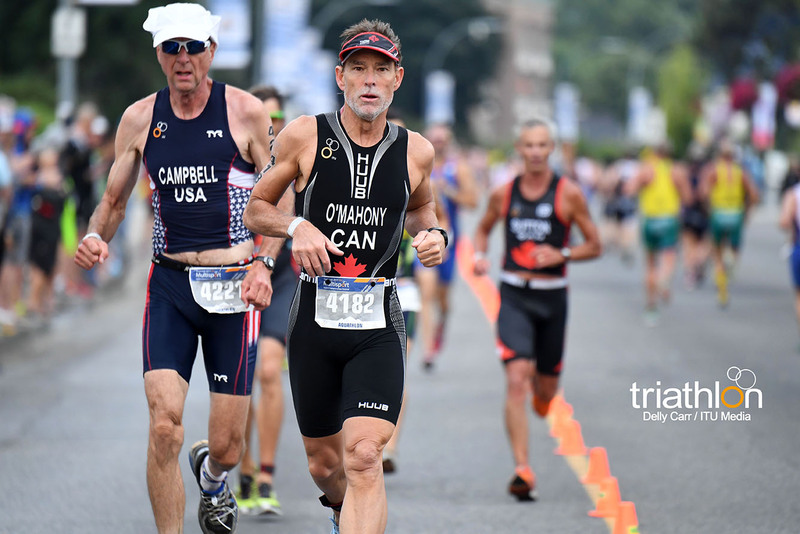 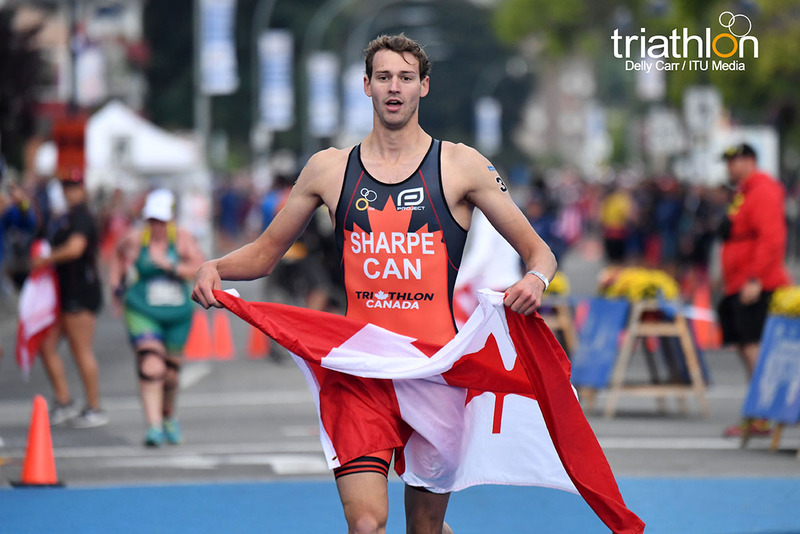 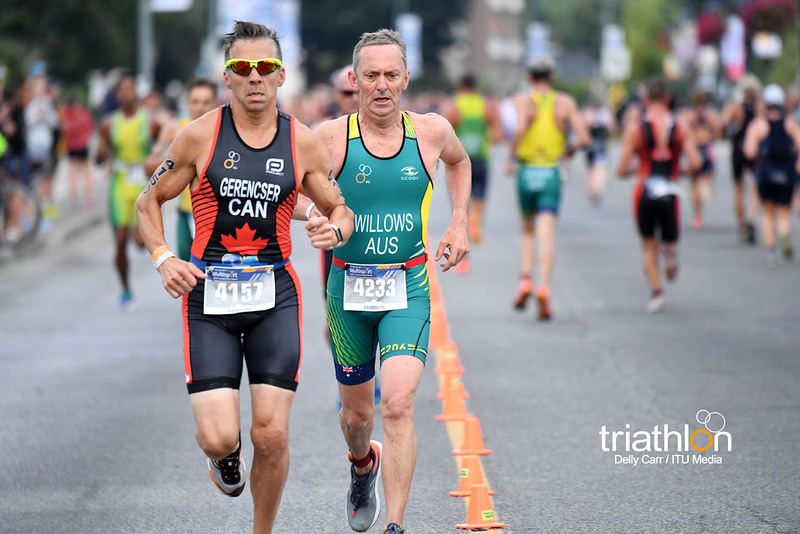 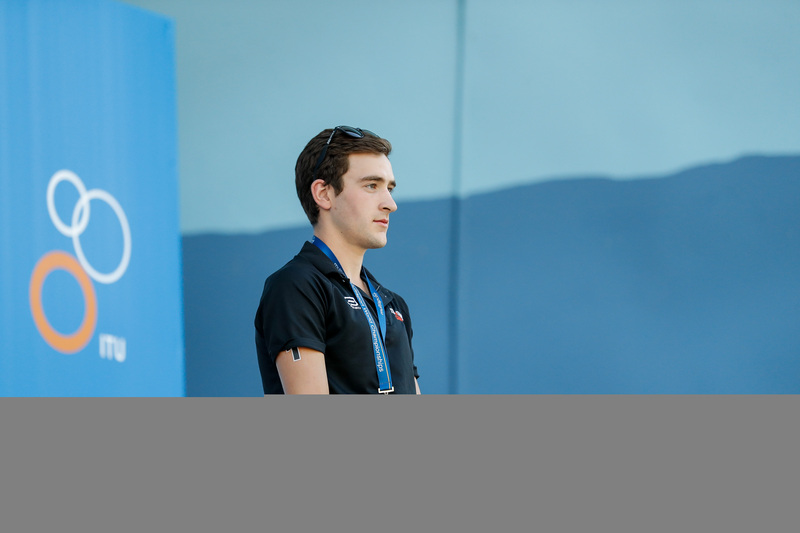 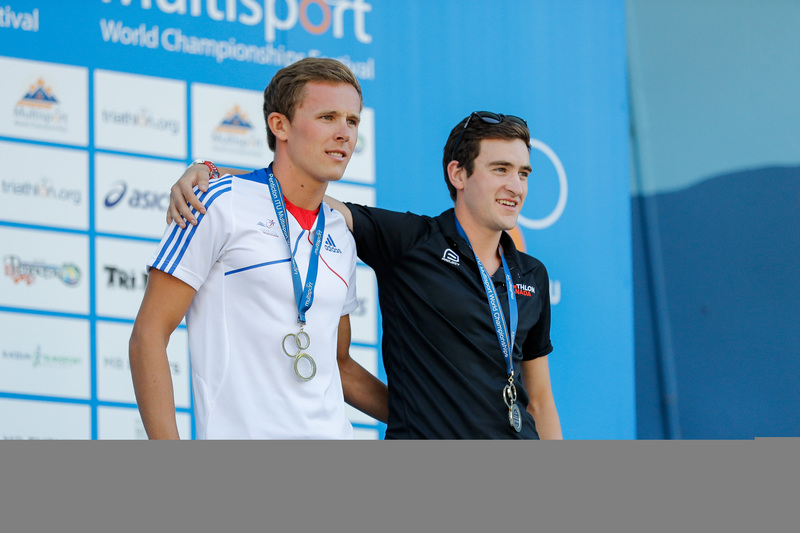 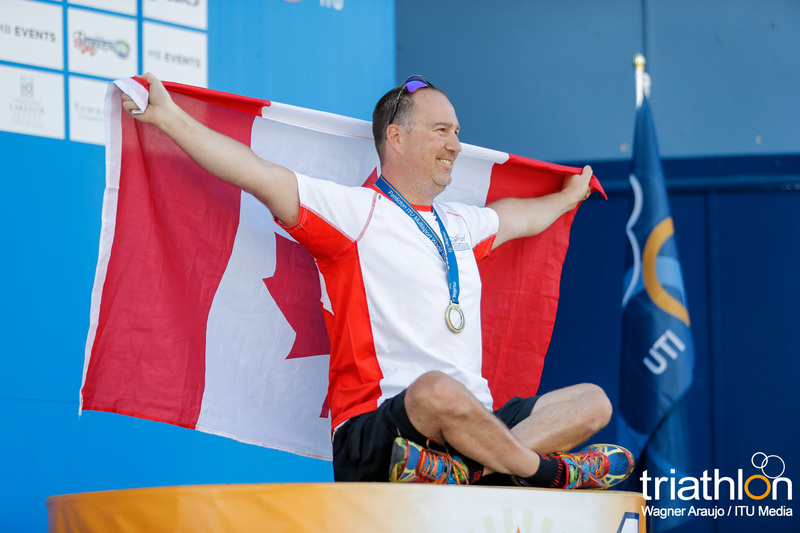 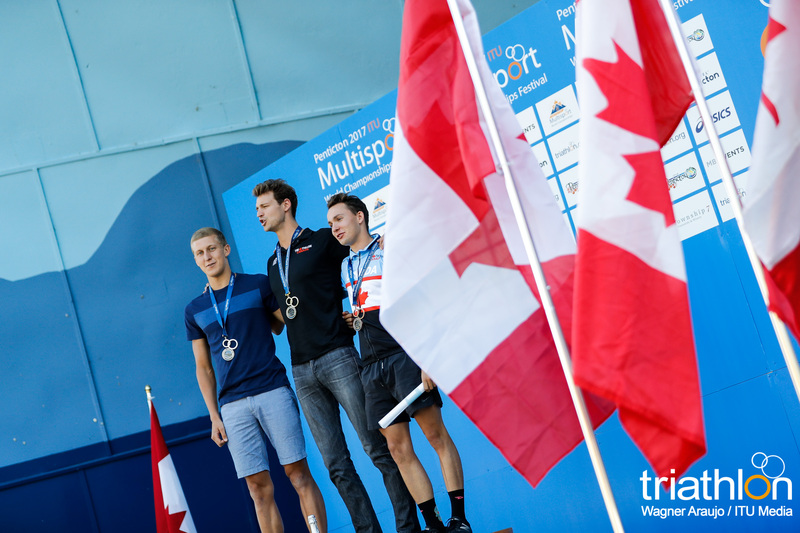 Matthew Sharpe is a steadfast athletes in the ITU Triathlon World Cup and World Triathlon Series scene, even making it onto his first world cup podium for the first time last year, which also was in a Canadian hosted event. 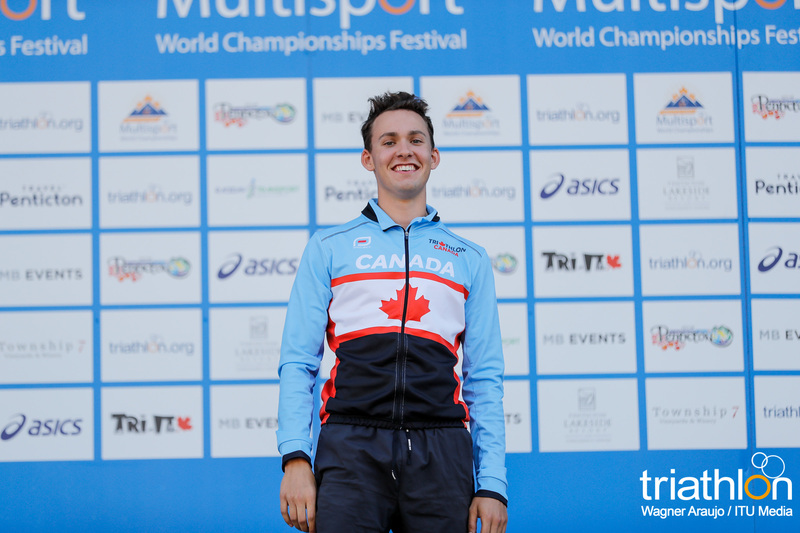 So he performs well on home country soil and could easily pick up a world crown. 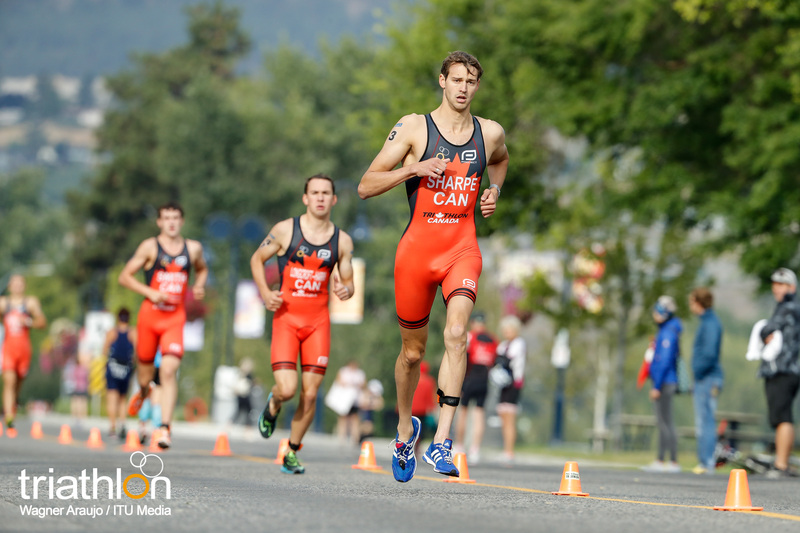 Jean-Philippe Thibodeau (CAN) is another strong Canadian, he was intended to compete in the cross triathlon event on Wednesday, but had to pull out before the race due to injury. 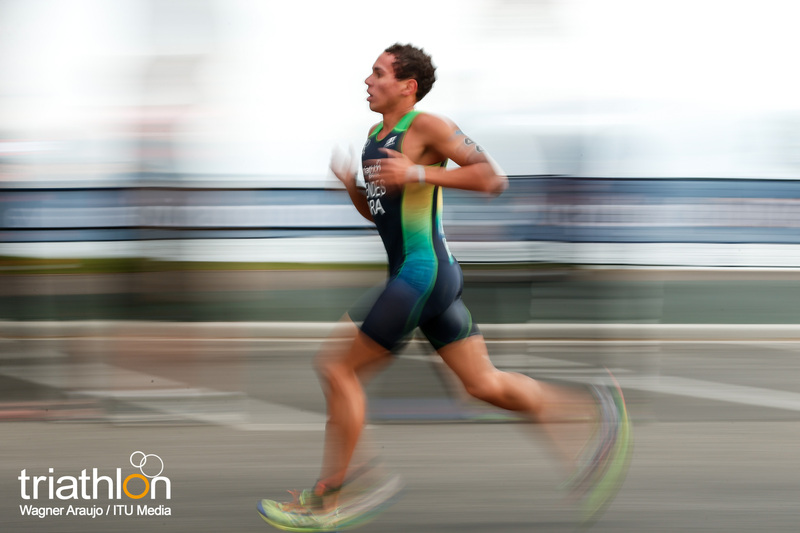 But the extra rest has given him what he needs to line the start list on Friday. 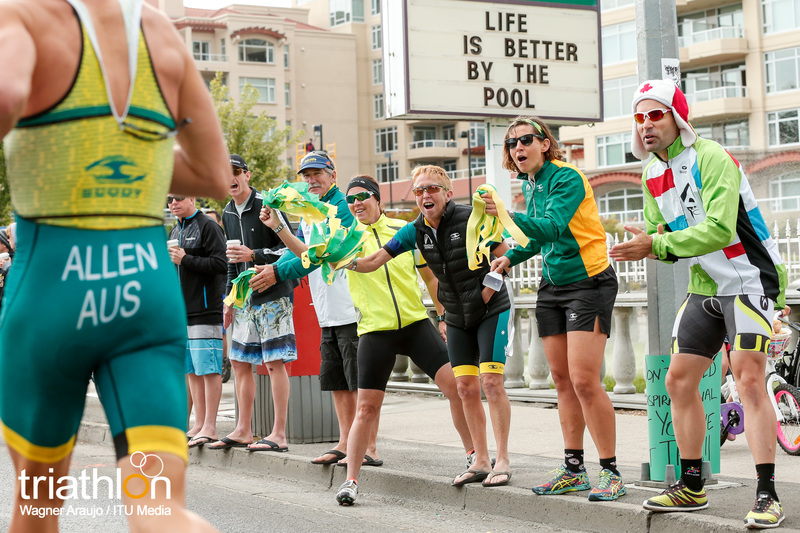 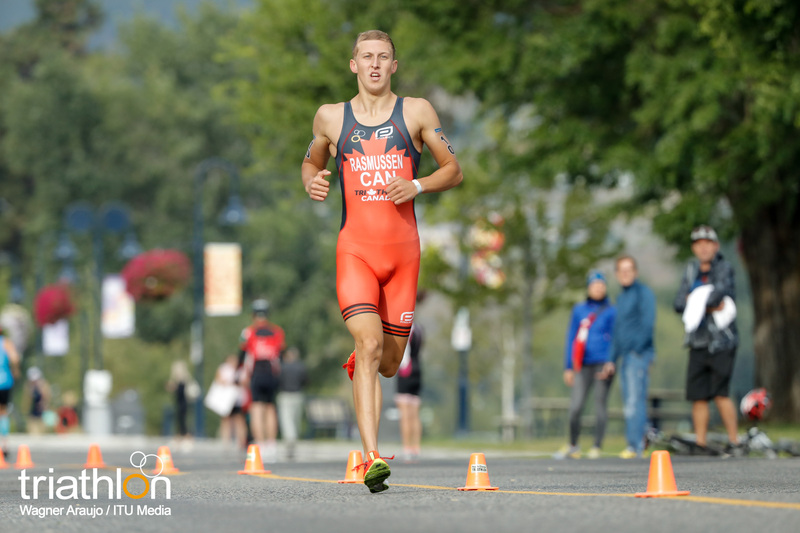 Aussie Ben Allen race in the cross triathlon in Penticton and was one of the leading men out of the swim, so he has already proven his strength in the water portion of the race. 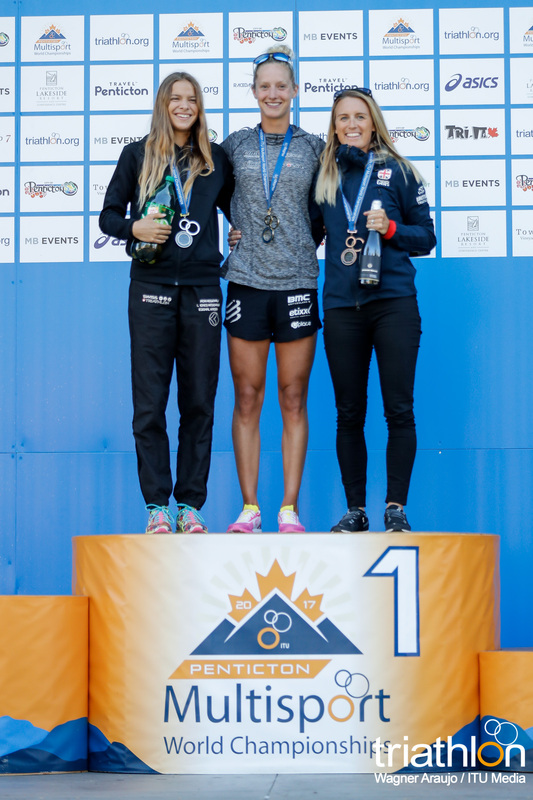 While the women’s elite race only contains three athletes, guaranteeing each a spot on the podium, the strength of the women keeps the mystery of who will be on the top of it. 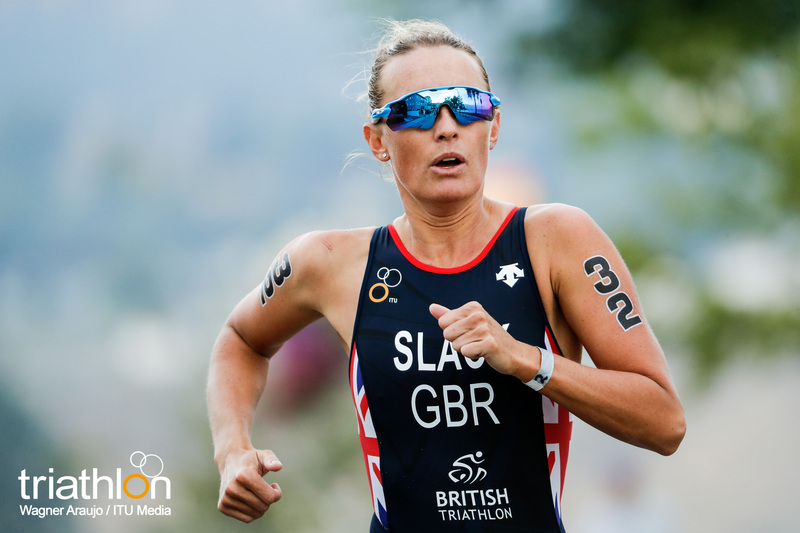 Jacqueline Slack of Great Britain was the silver medallist in the cross triathlon world event, where she was the swim leader during the race. 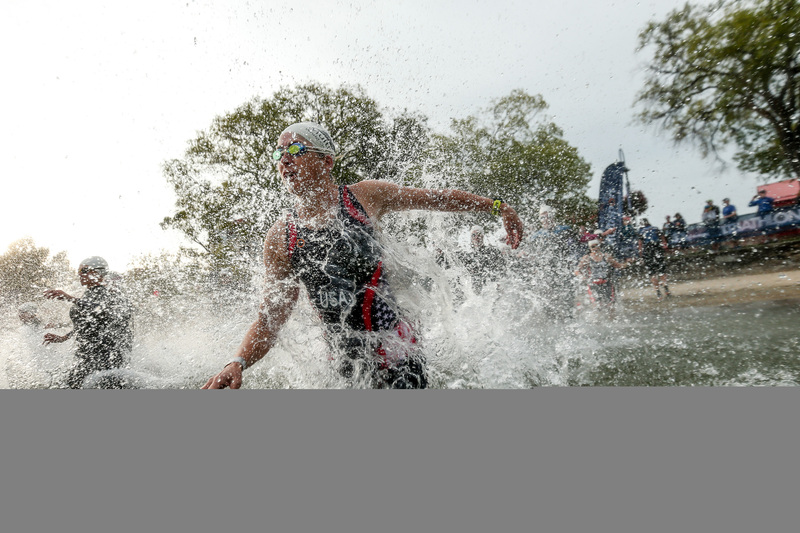 She also had a phenomenal run, so the aquathlon is suited well for her strengths in the sport. 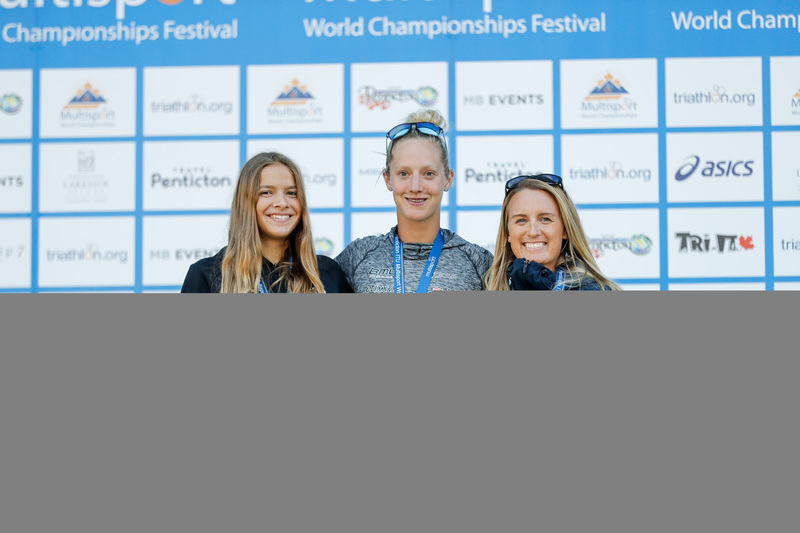 Another Brit is Emma Pallant, who like Slack is entering the race on Friday already with a Penticton medal. 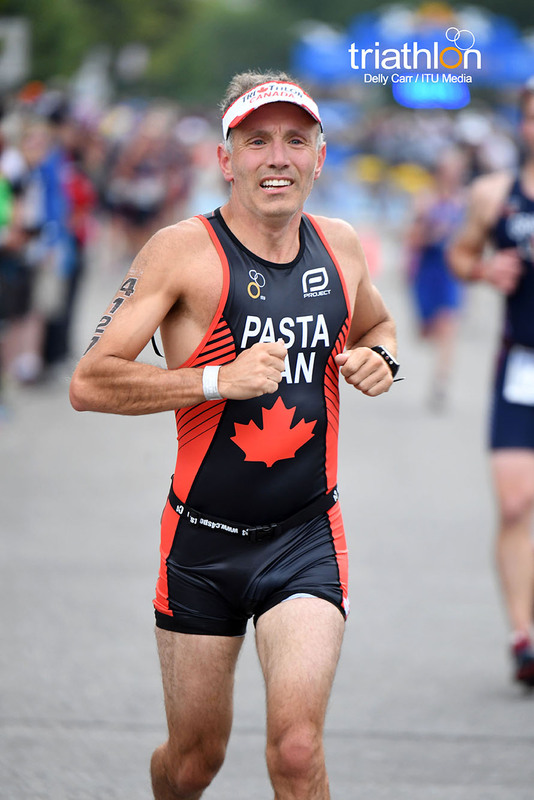 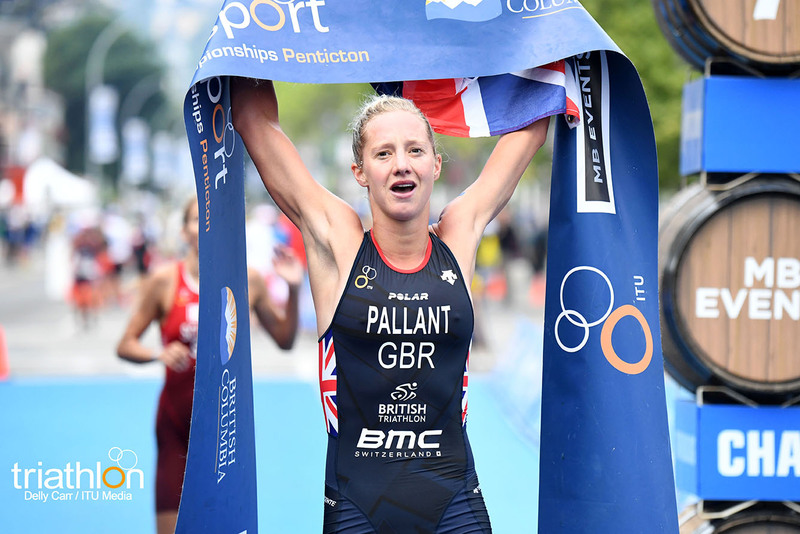 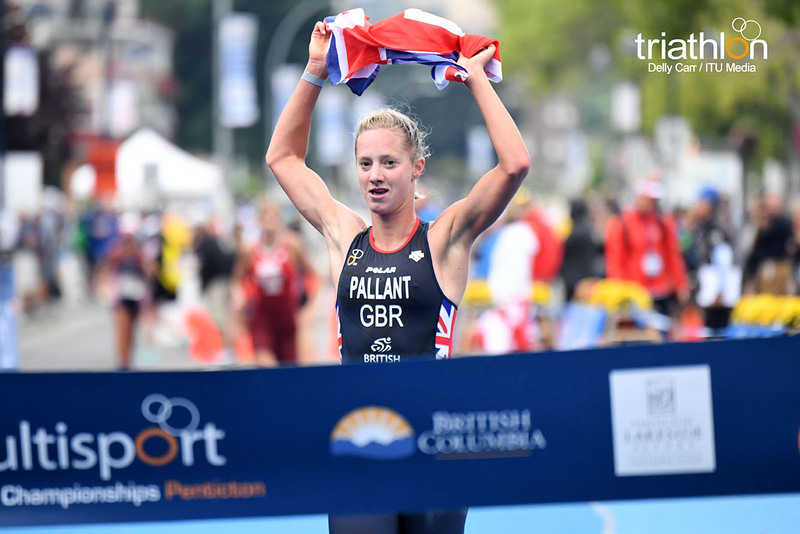 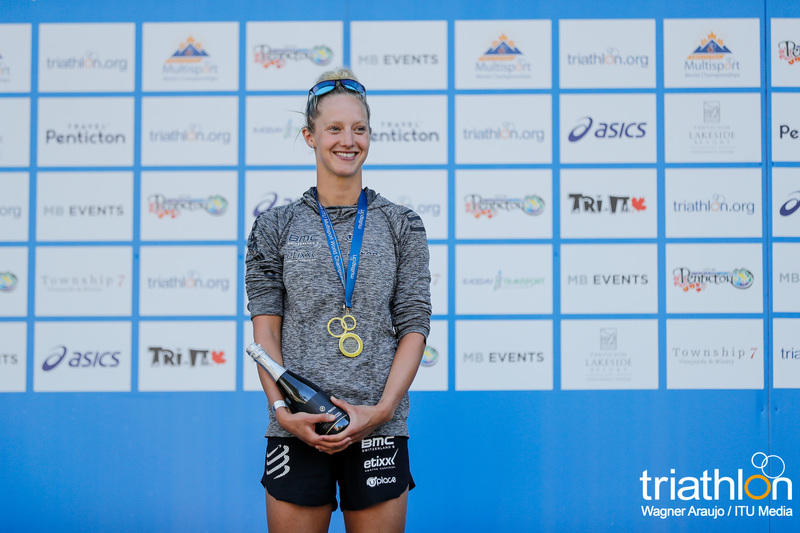 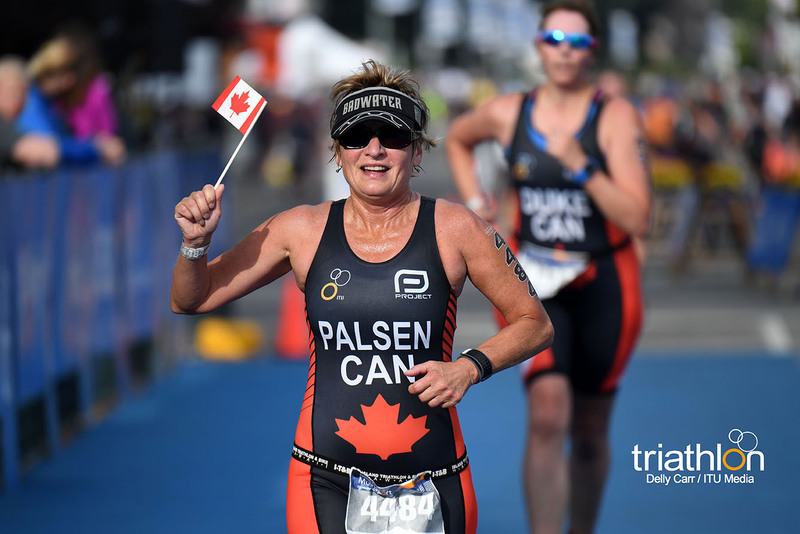 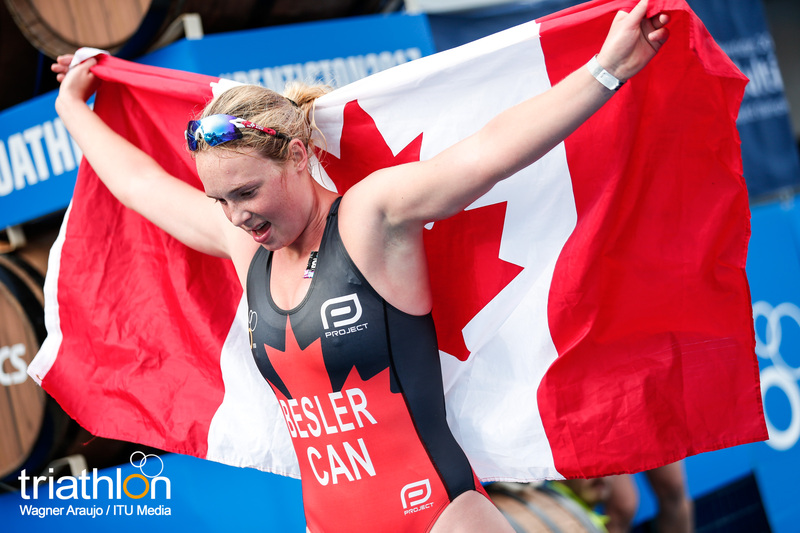 Pallant took home the bronze medal in the duathlon race, which kicked off the Penticton World Championship Festival. 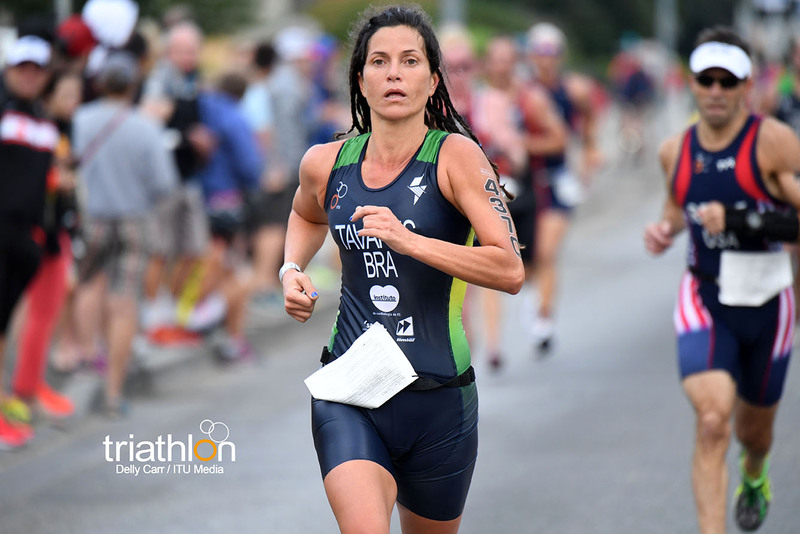 However, the woman who could take the crown away from a Brit is Aussie Sarah Crowley. 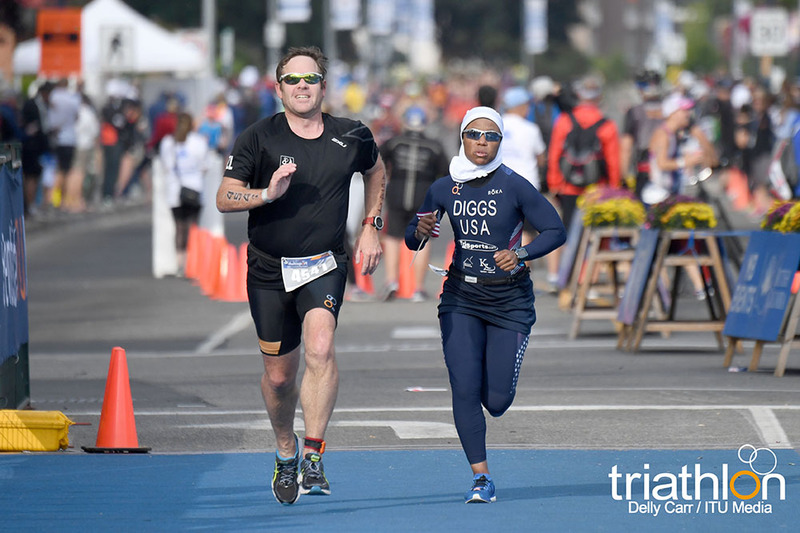 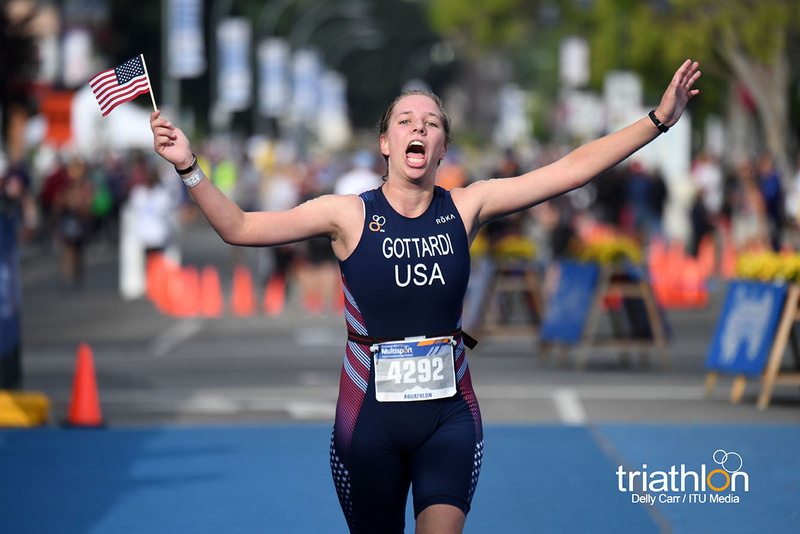 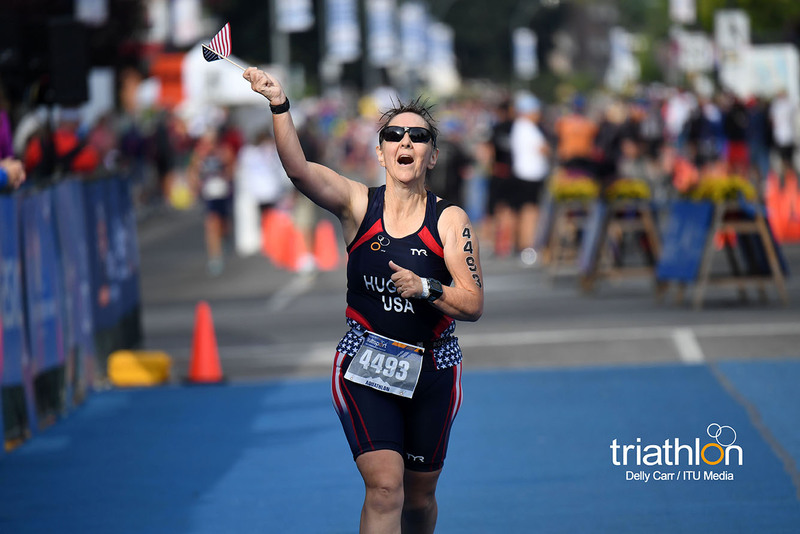 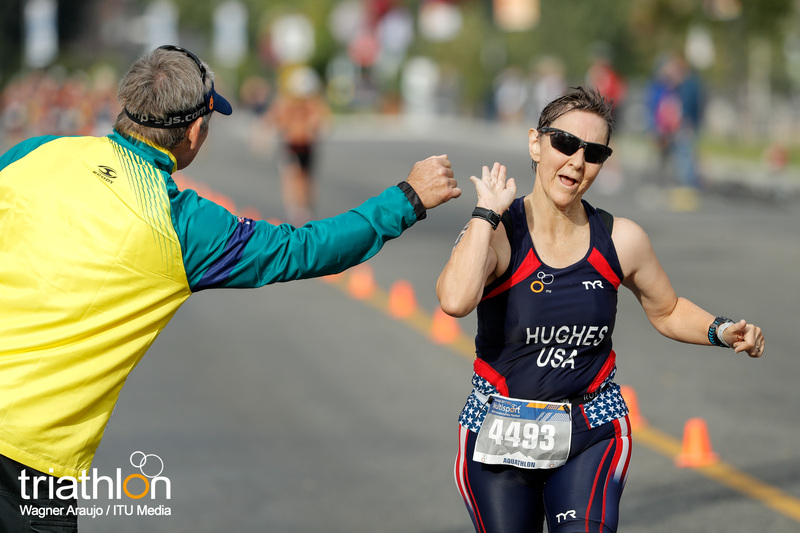 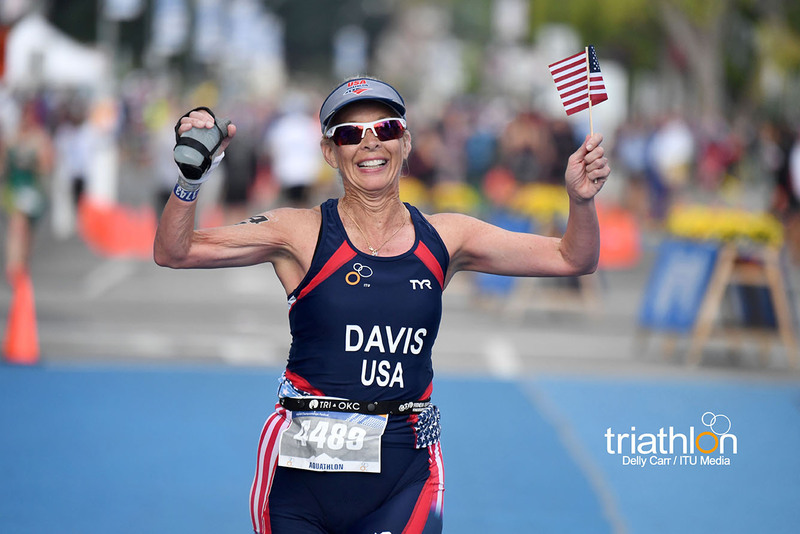 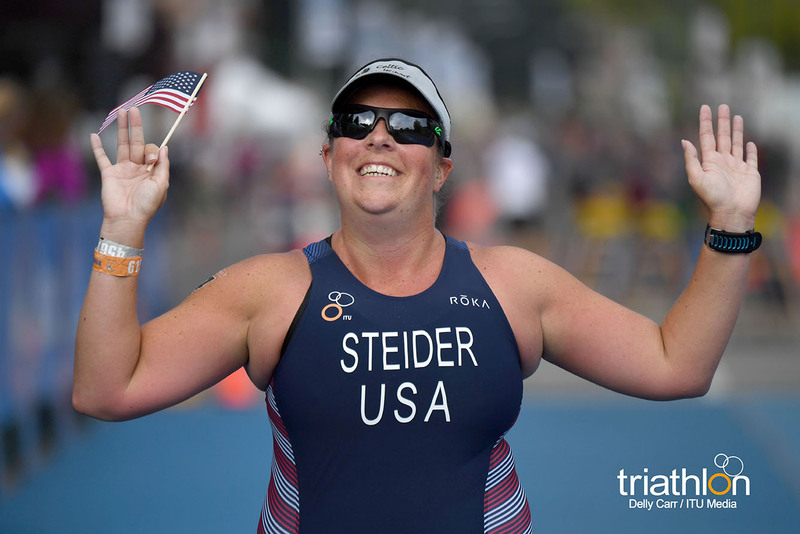 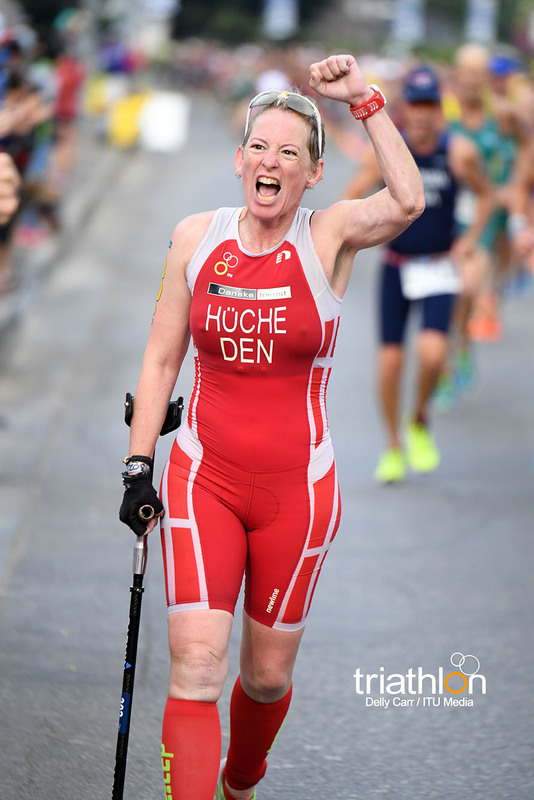 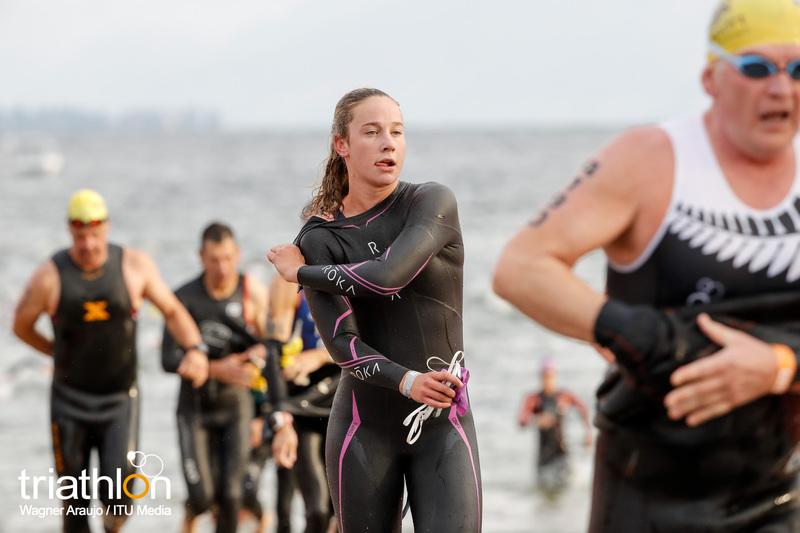 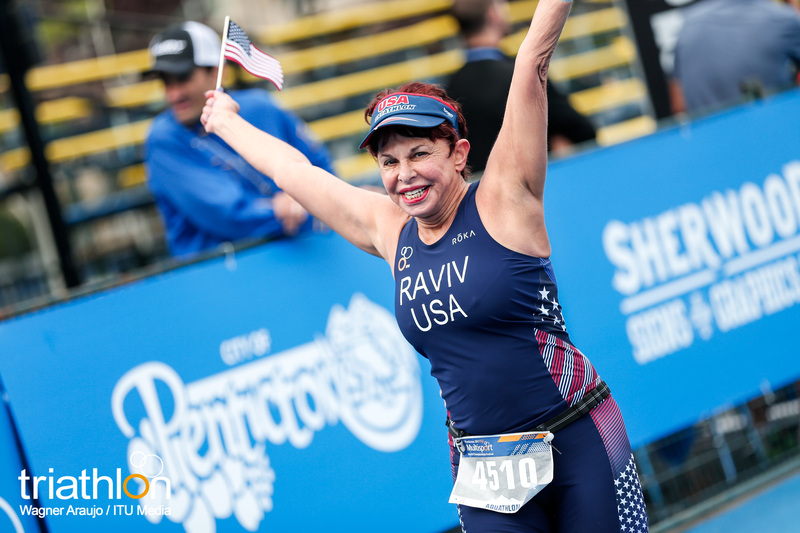 Crowley, who excels at long distance triathlons, will have to hone her skills to a shorter course, but due to her winning streaks in other triathlon races as of late, she will be a big threat. 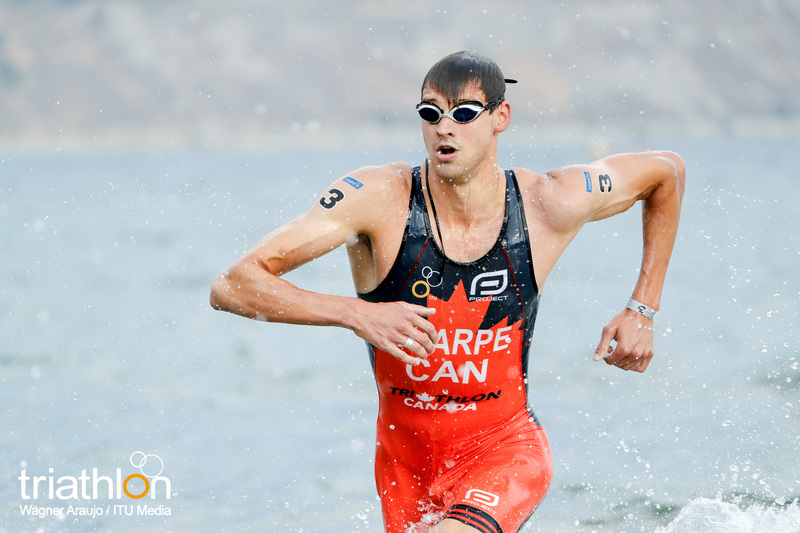 Among the nine men vying in the men’s U23 field, a champion spirit comes from Kiwi Kyle Smith. 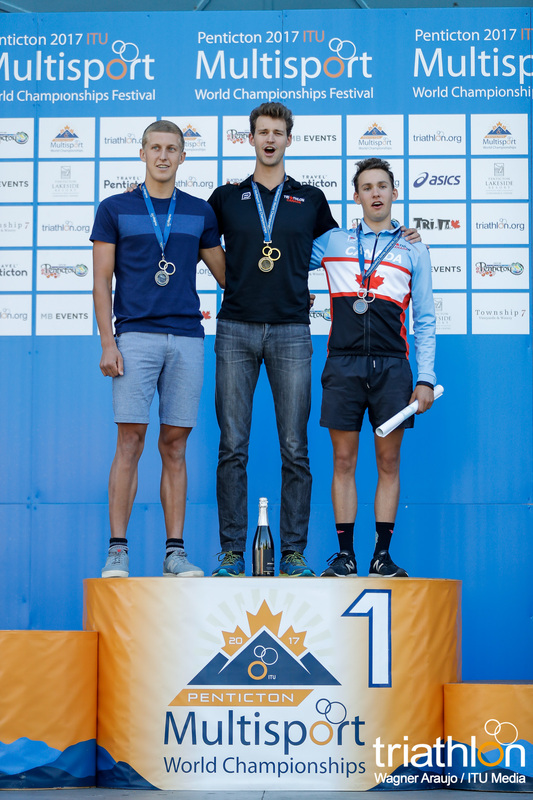 He contested in the cross triathlon event where he placed third in the elite field, which also granted him the U23 world title. 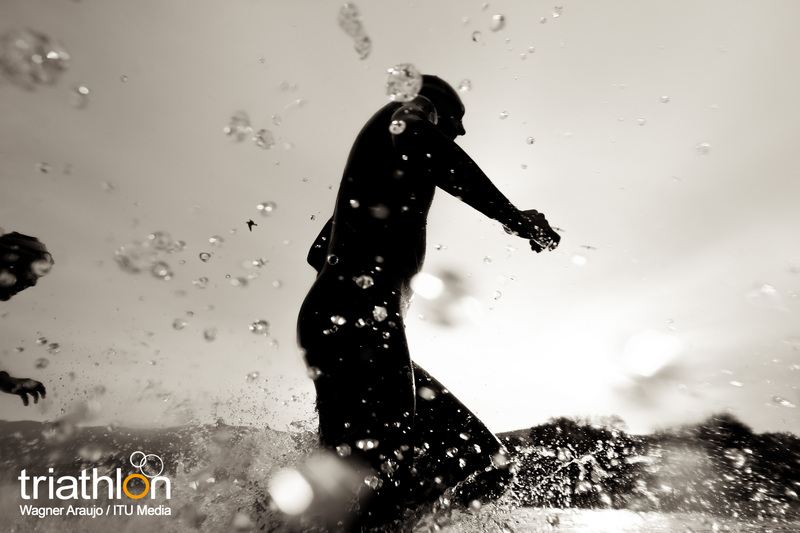 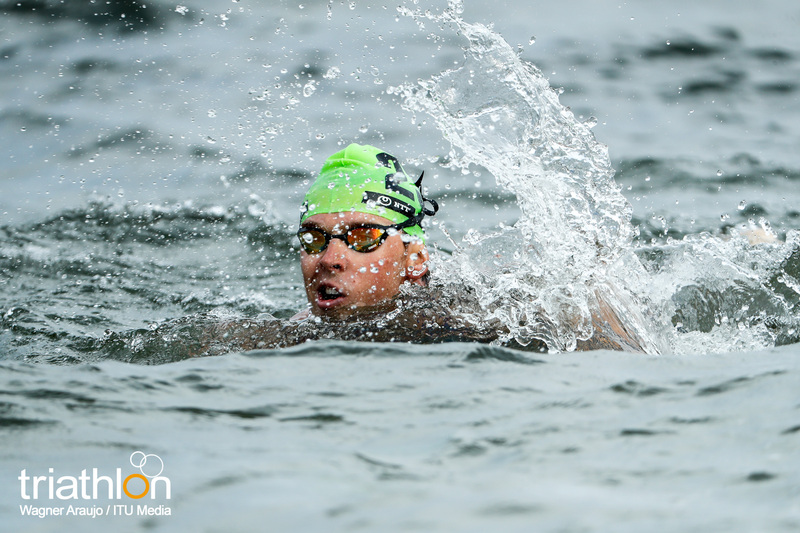 In the event, he was the first out of the swim even out of the elite field, so aquathlon is a sport where he can excel. 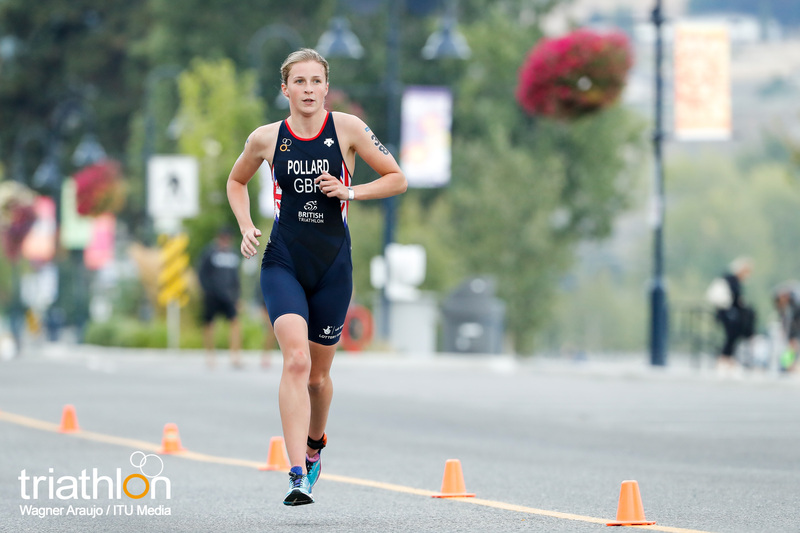 The U23 women’s cross triathlon champion is also racing in the aquathlon. 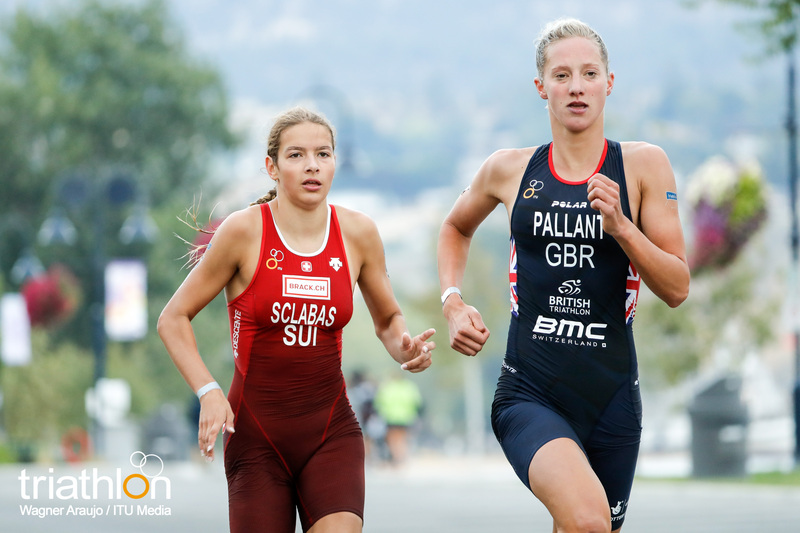 Penny Slater (AUS) topped the tough cross triathlon, but she did so also by having a strong run. 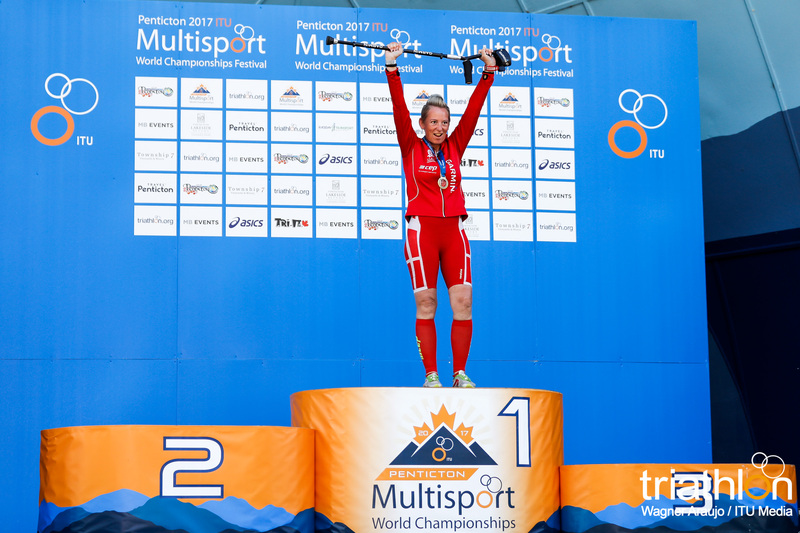 So while the U23 field only contains three names, guaranteeing each participate gets a medal, she is a strong frontrunner for the gold. 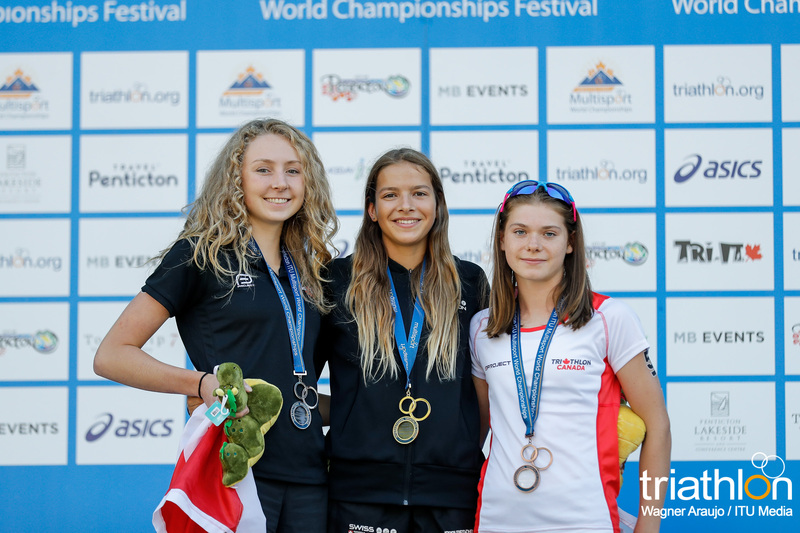 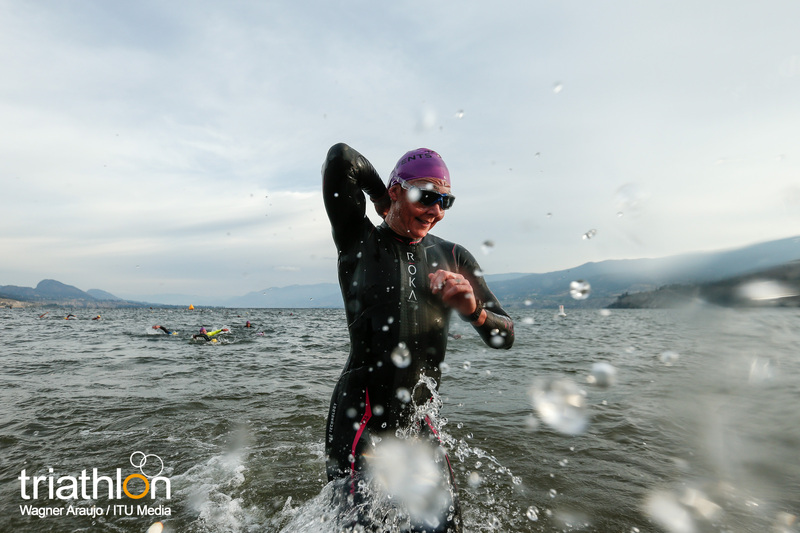 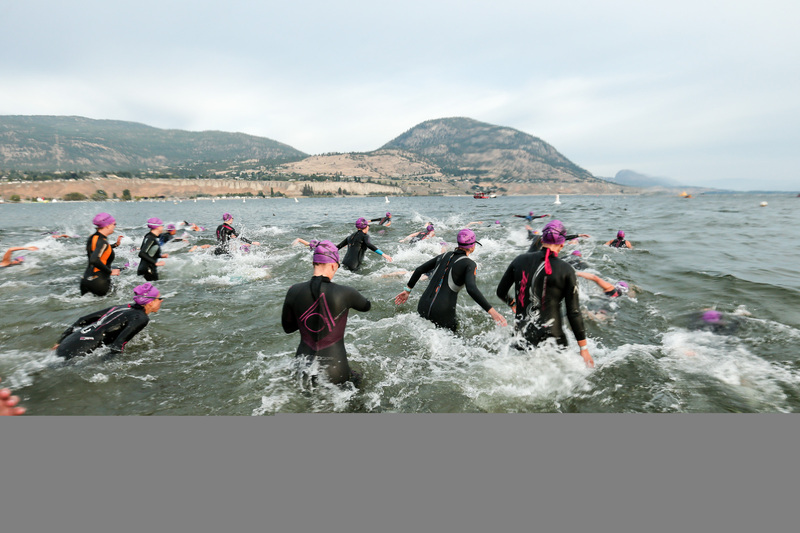 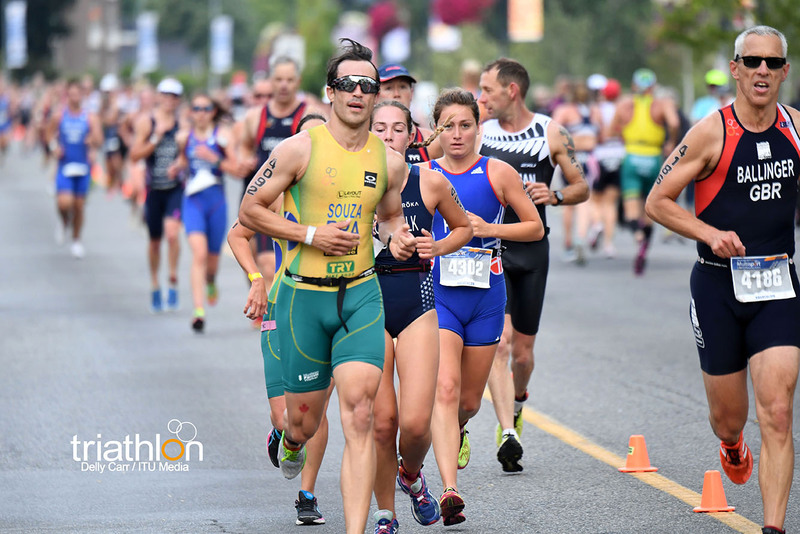 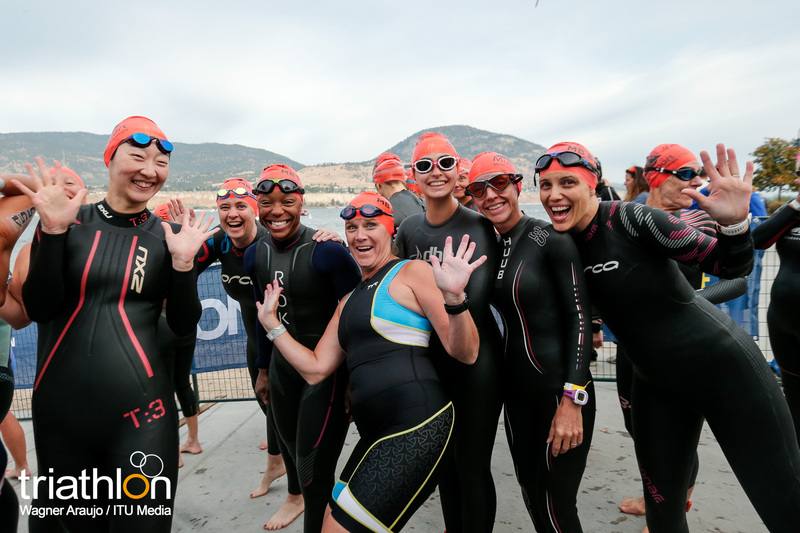 The aquathlon race is the only event in Penticton where the junior field will be lining up against the elite and U23 field, so a huge opportunity for young names to make big plans. 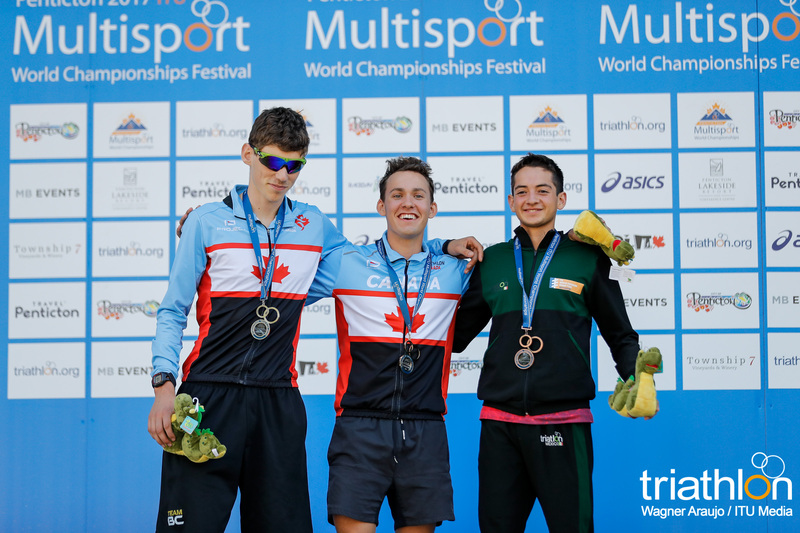 Aussie Alec Davison on the men’s side won the cross triathlon junior title, and could be a viable candidate for a second crown. 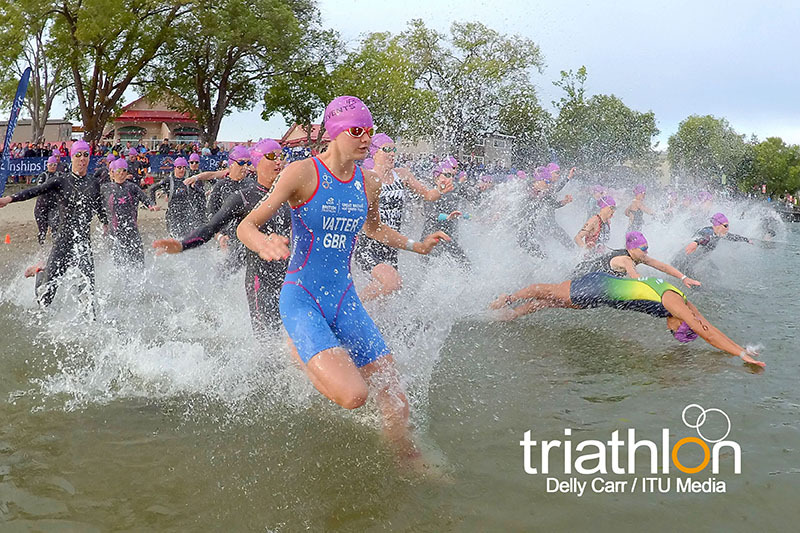 The junior women’s field has six racers starting the line, however two of them are starting with world crowns already attached. 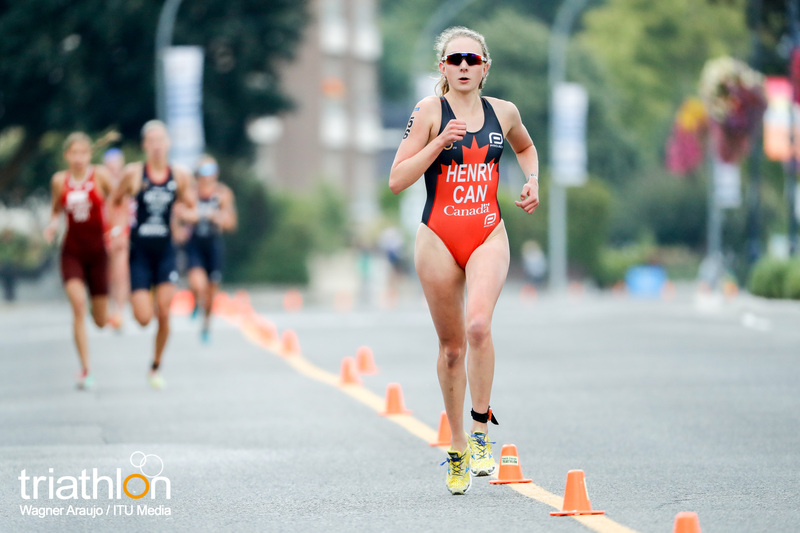 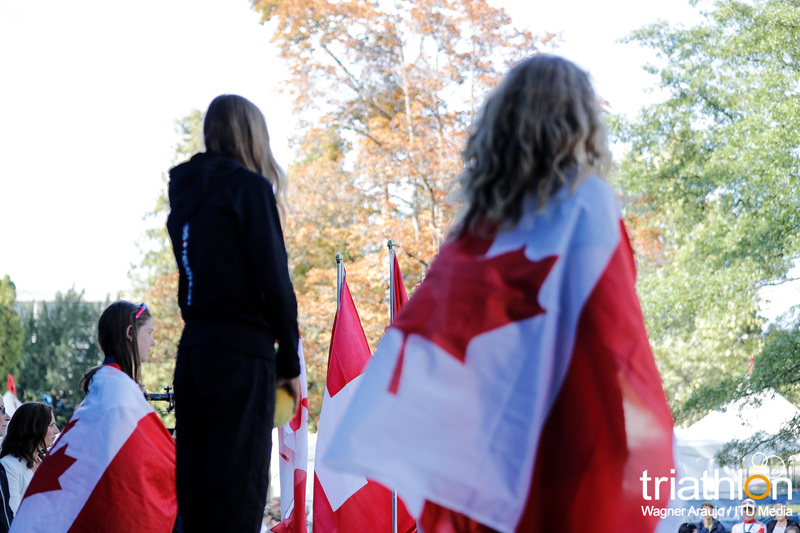 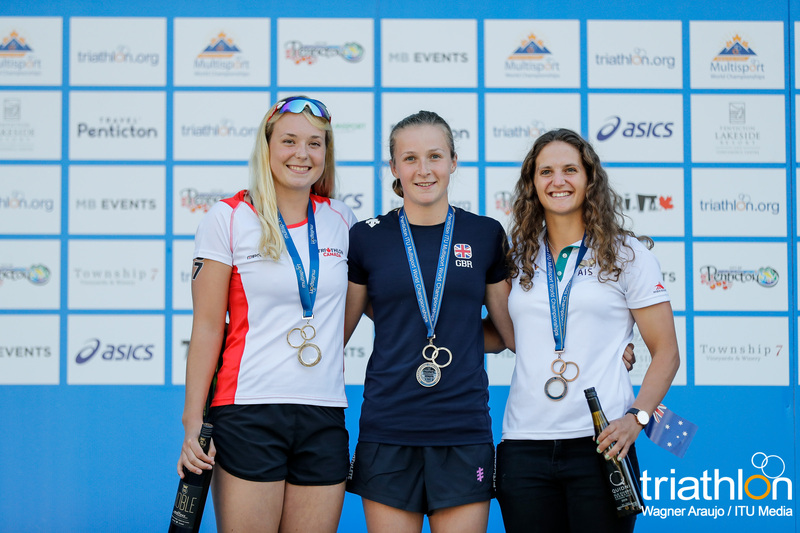 Holly Henry (CAN) won the cross triathlon event and Delia Sclabas (SUI) won the duathlon.